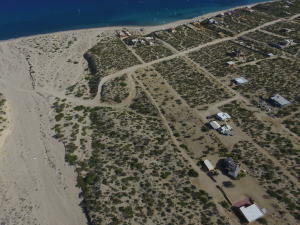 Description: Very unique property for future water front community development. 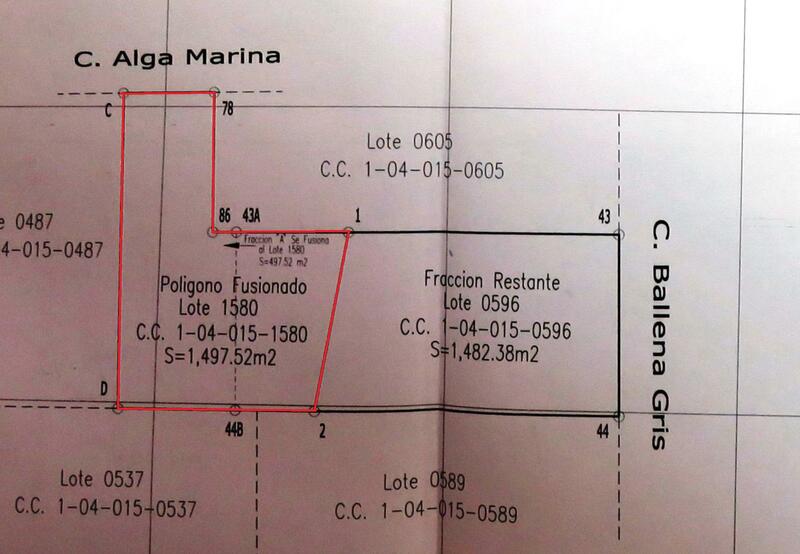 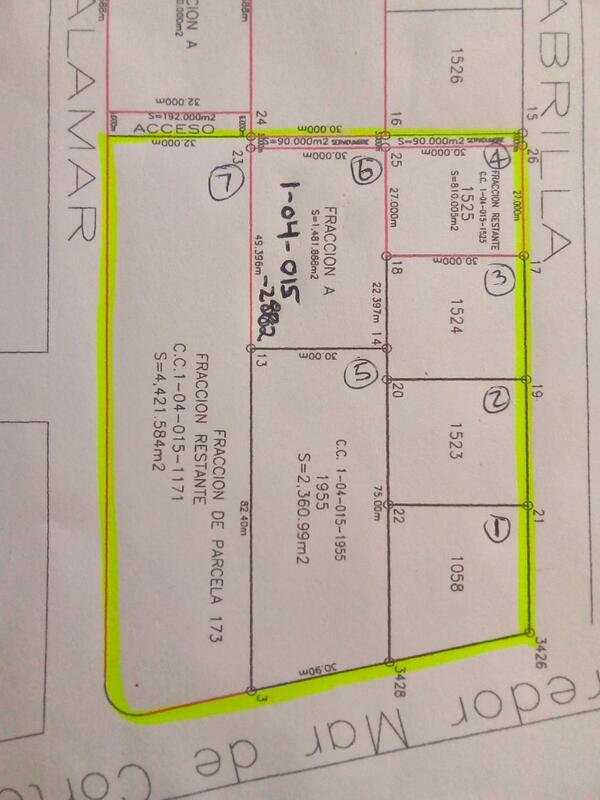 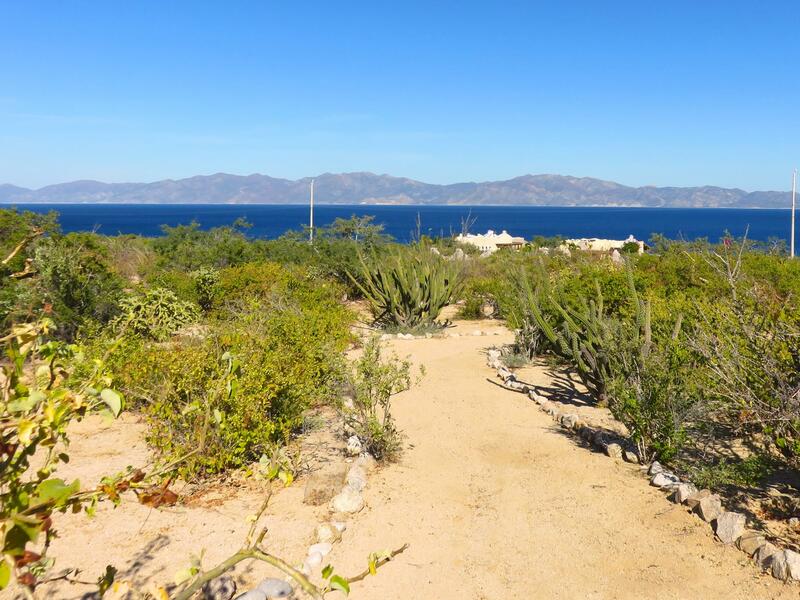 Impossible to find a property like this now in the la ventana/el sargento area. 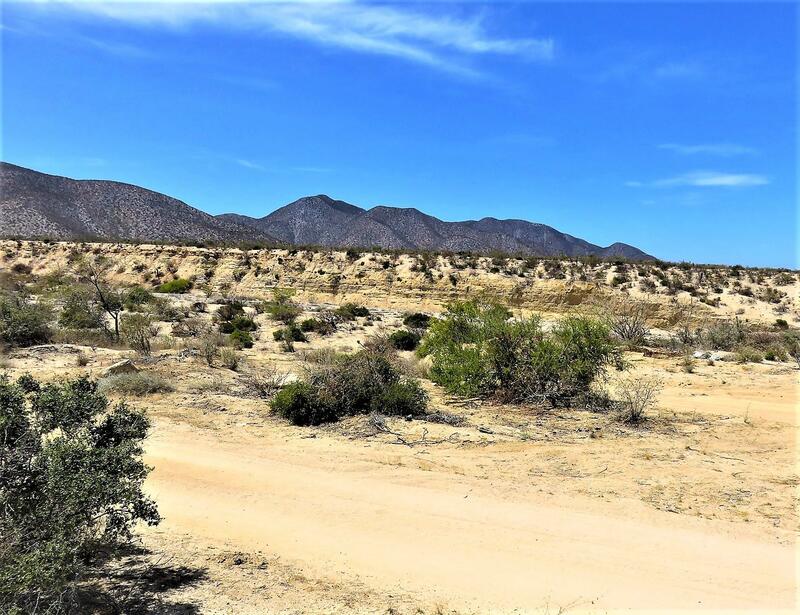 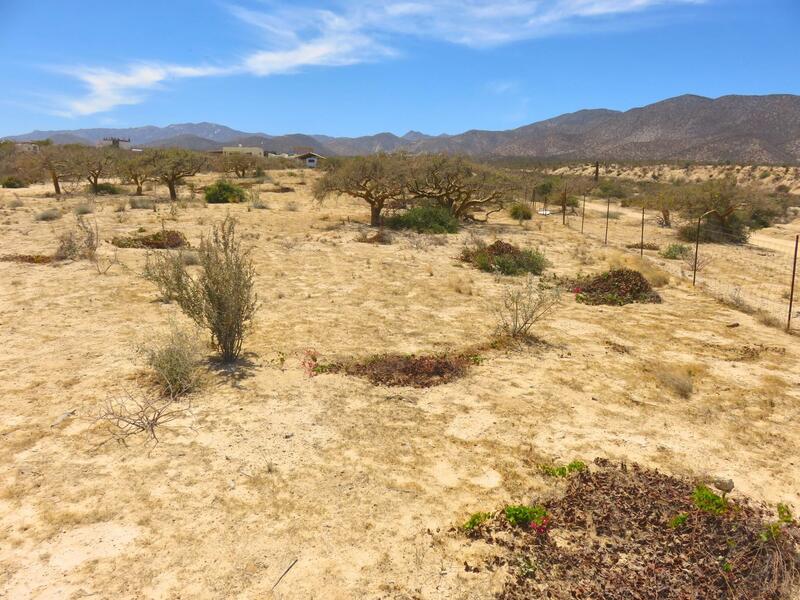 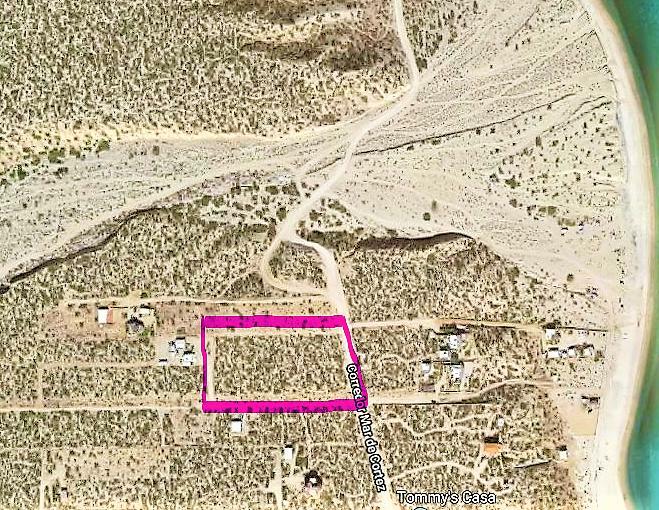 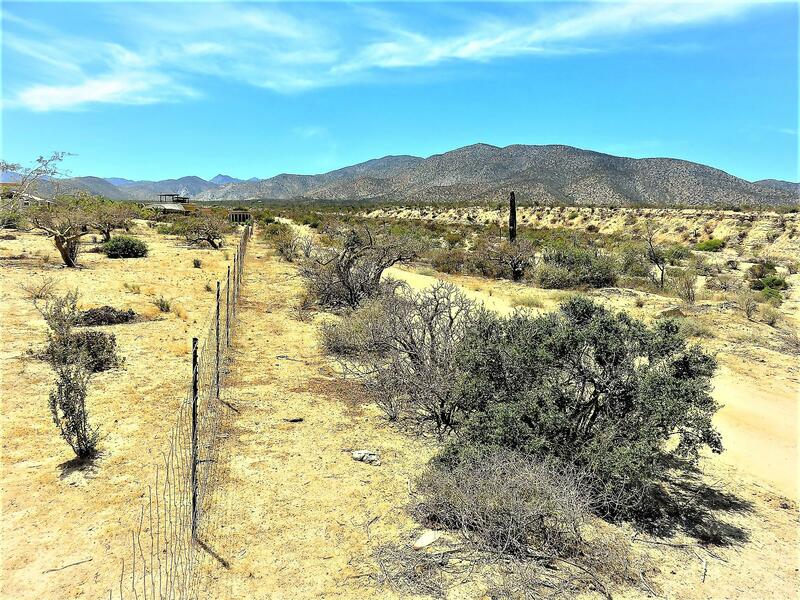 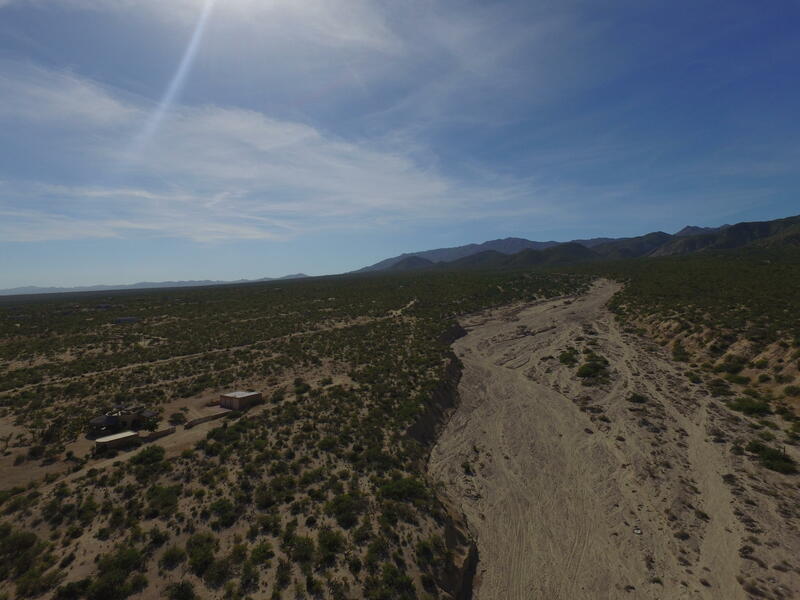 8 acres of water front land with incredible view lots all the way along to the top of the arroyo valley. 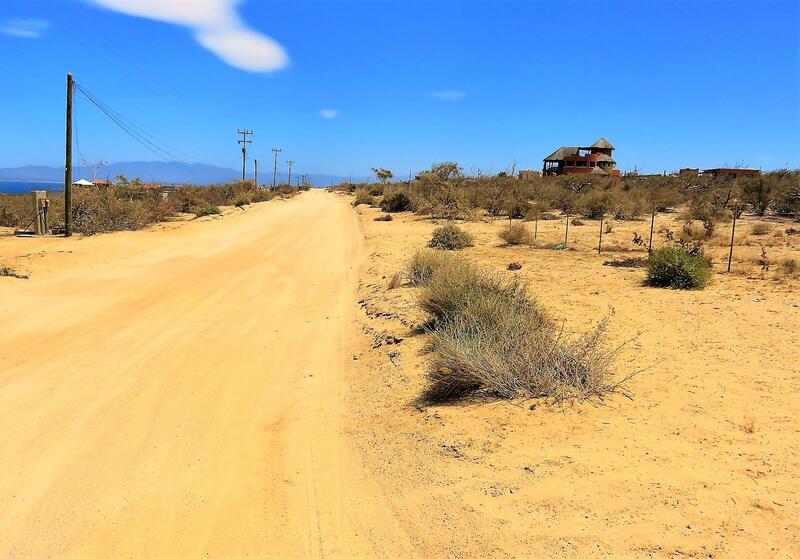 Description: Truly a must see property! 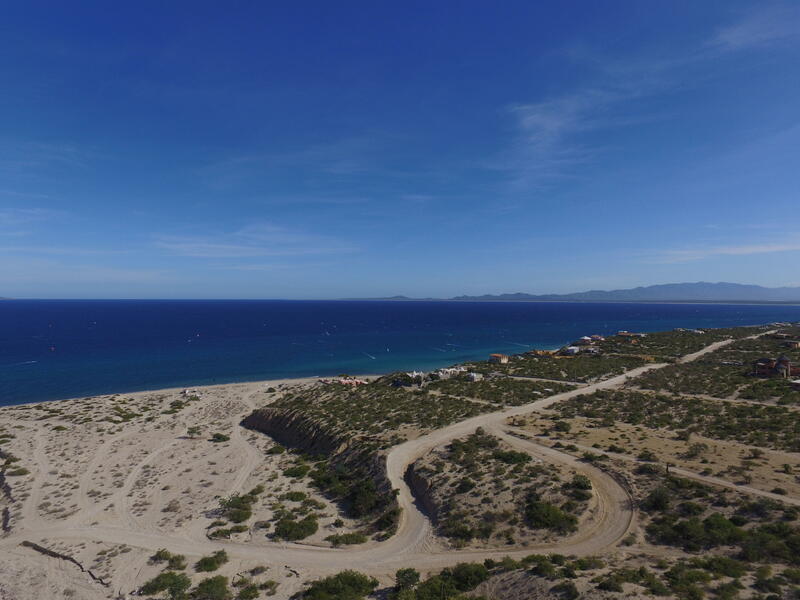 Coveted, unobstructed views of the Sea of Cortez, and phenomenal mountain panoramas, the Pristine Overlook lot is something to behold. 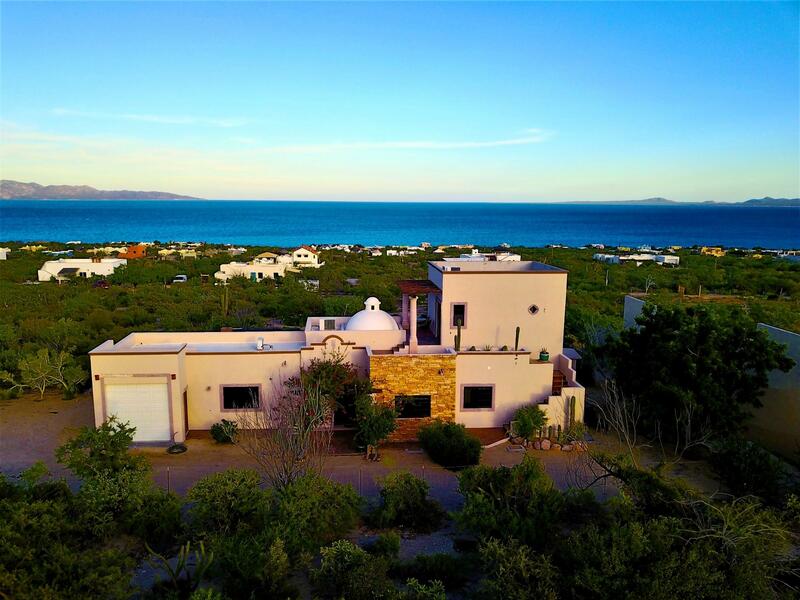 From Pristine, catch the morning sun peeking out from behind Isla Cerralvo as it begins to pierce the ocean horizon; at sunset, marvel as shades of purple and pink grace the mountain ridge to the northwest. 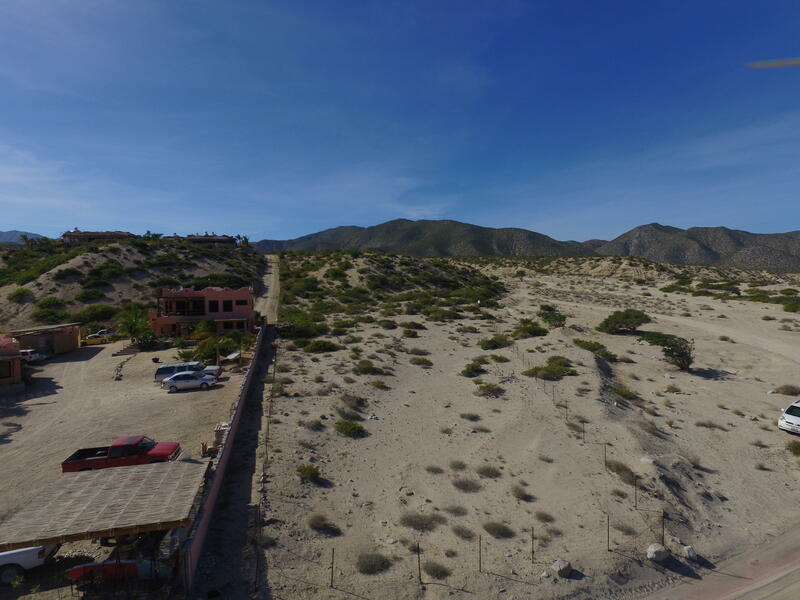 Strategically acquired as a series of lots by the current owner, this property is now a fantastic investment opportunity for any new buyer. 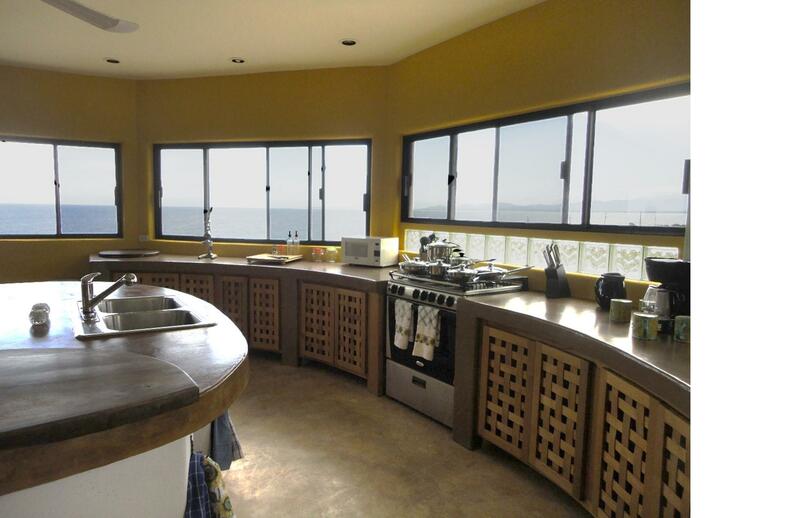 Features 300' of ocean view frontage; 400' overlooking the big north arroyo. 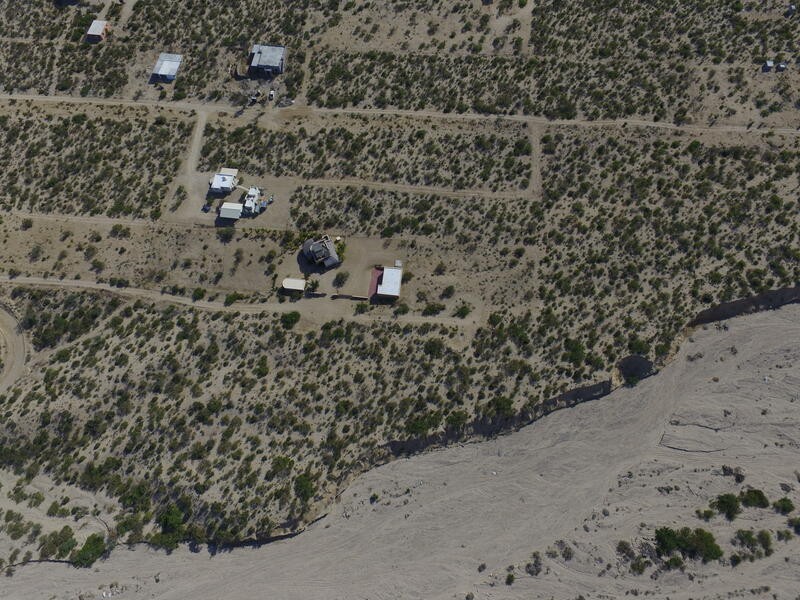 This property lies just south of the legendary hot springs. 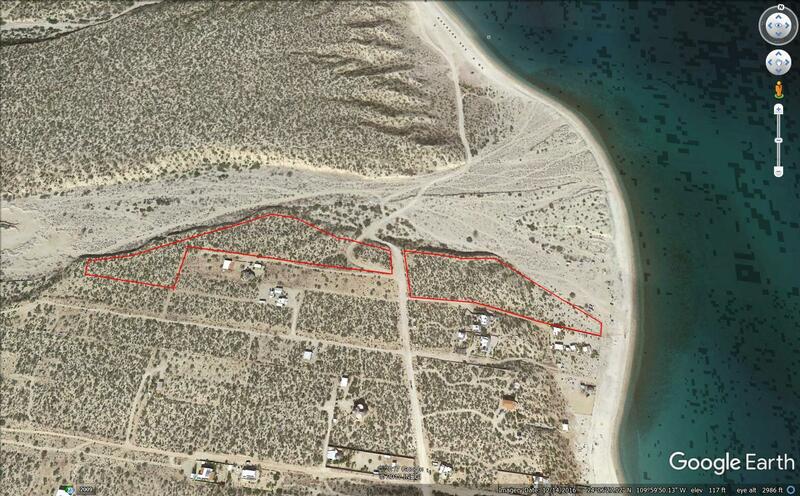 Power is fed via CFE and is ready for a residential build. Pristine Overlook lot offers something that words fail to convey... come see it and be amazed! 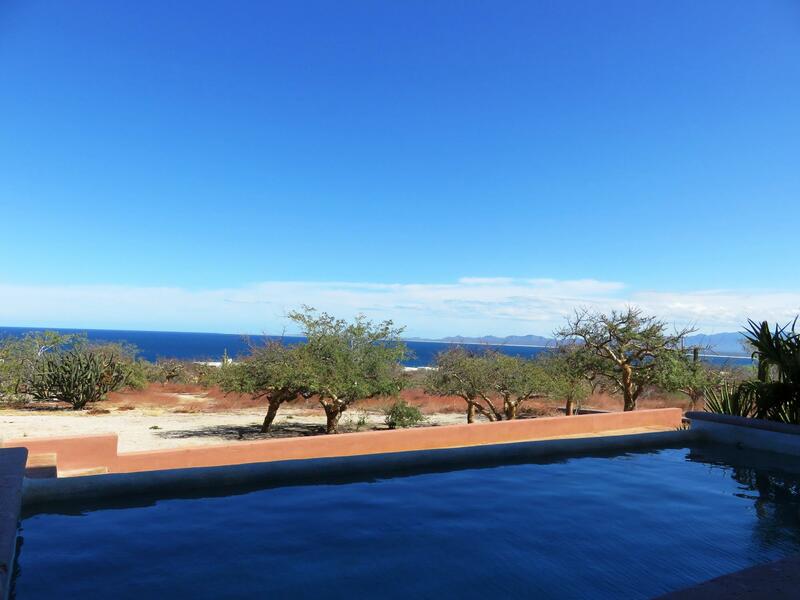 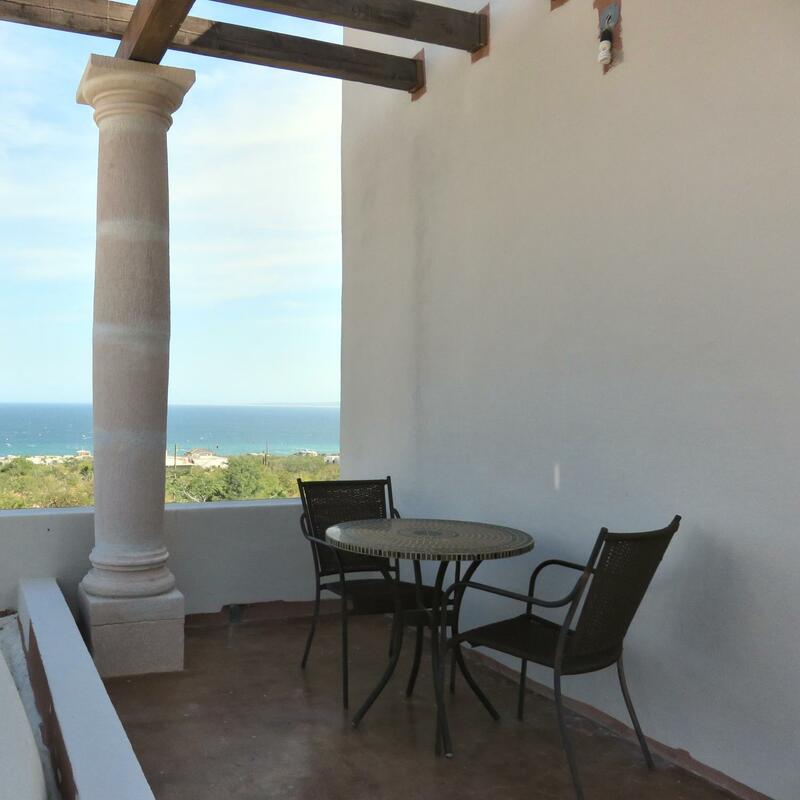 Description: The views from Hacienda Azul Azul are spectacular and second to none. 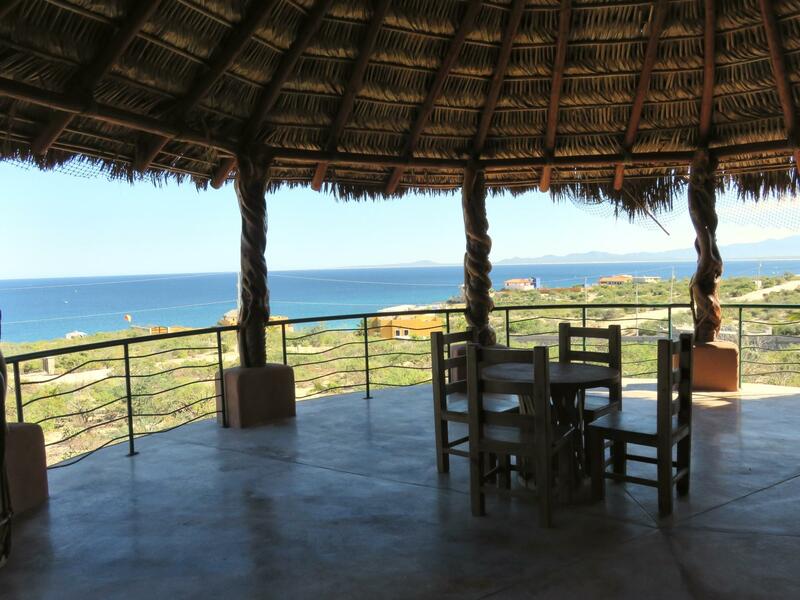 Lookout for miles and watch the whales swim by from the beautiful, enormous, and highly perched porches. 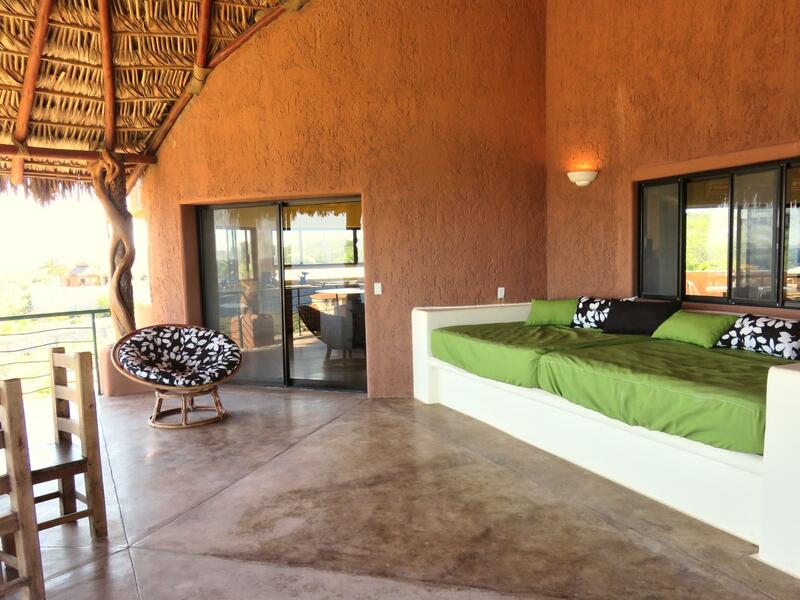 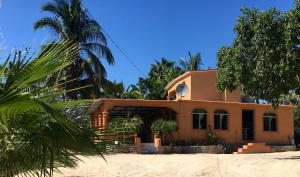 Azul Azul sits on a huge property of over 2 acres. 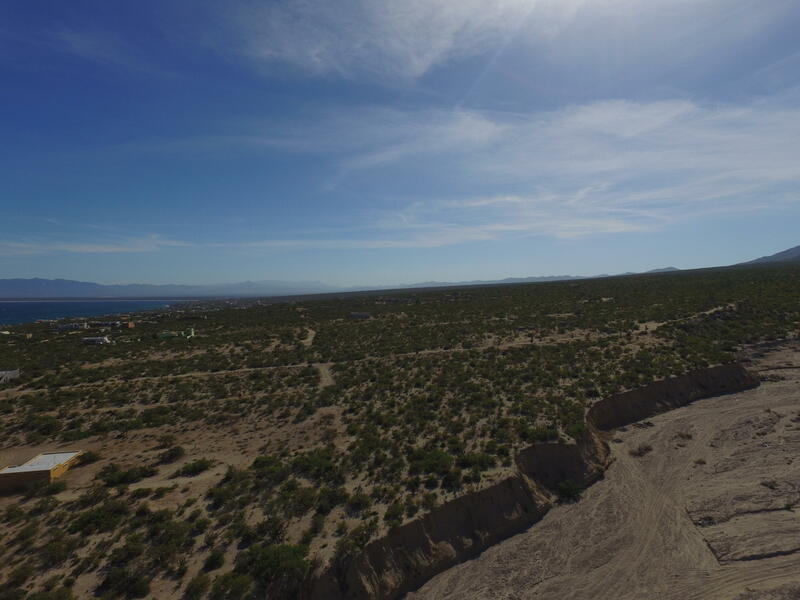 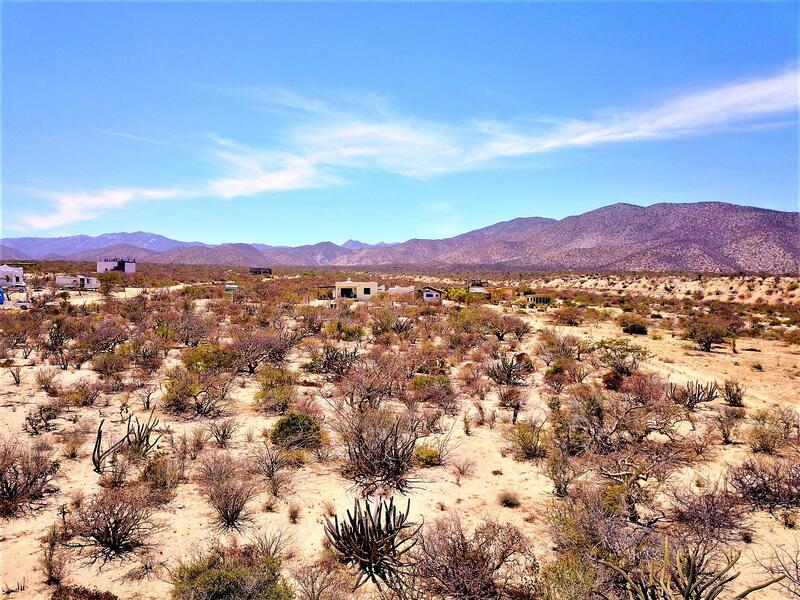 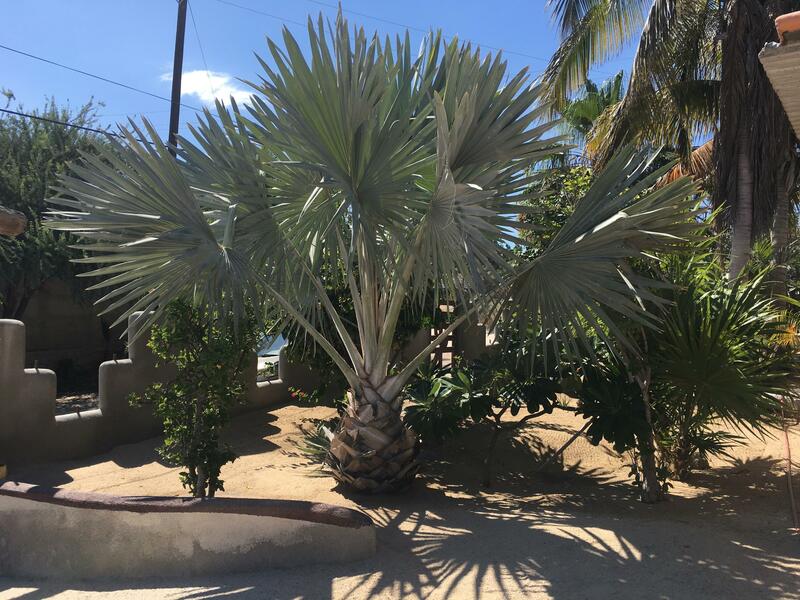 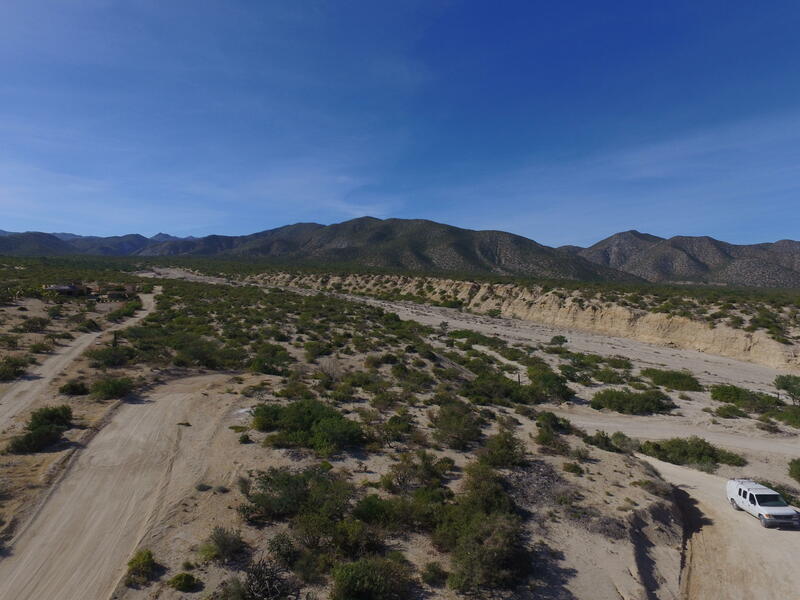 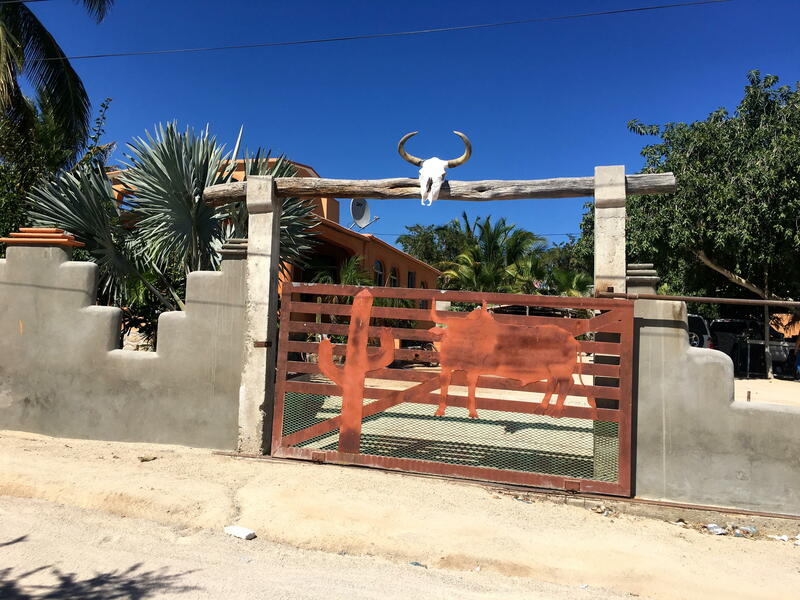 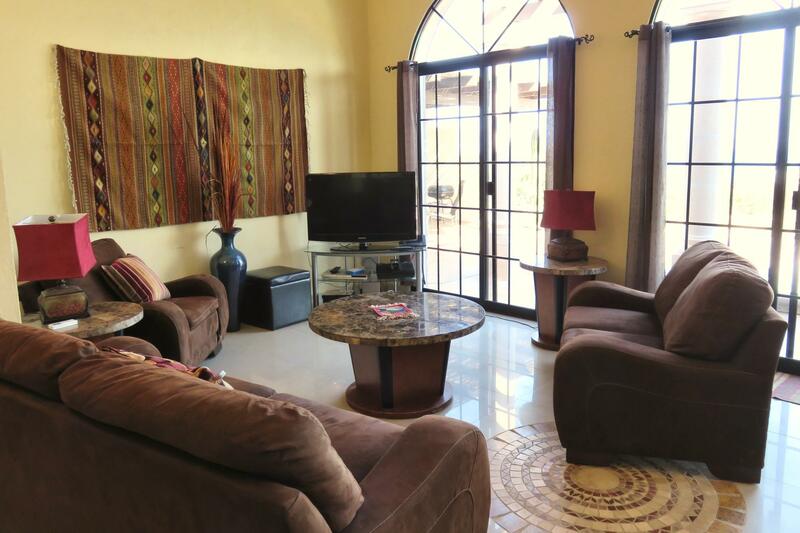 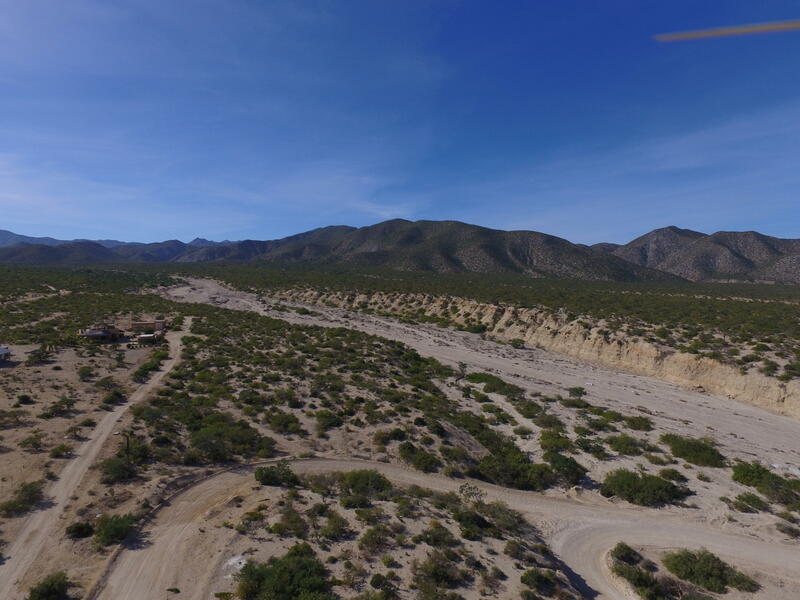 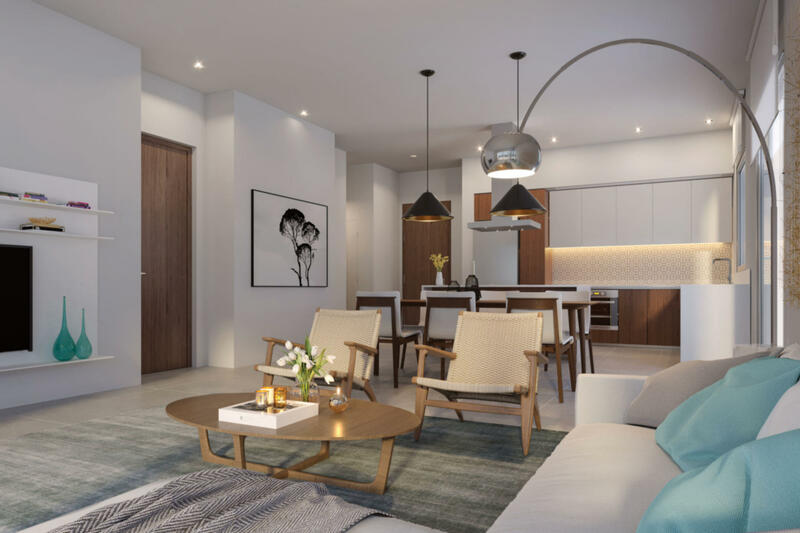 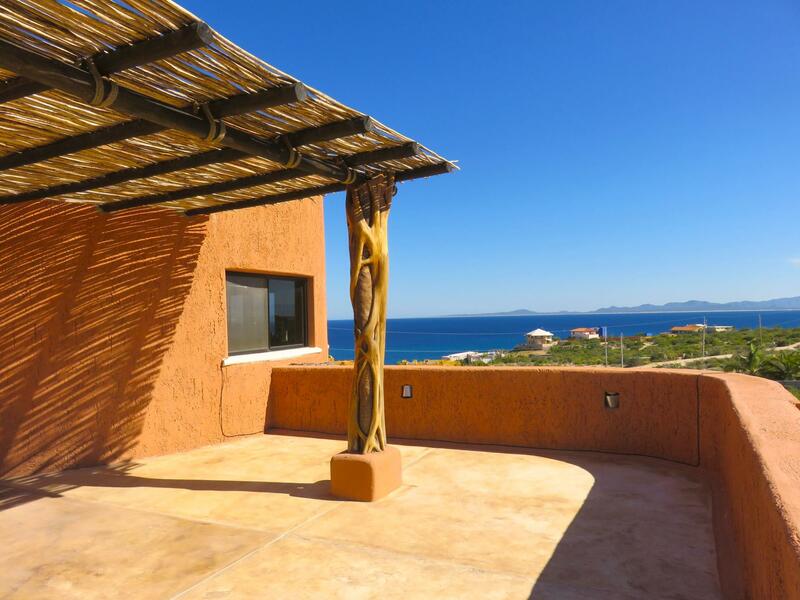 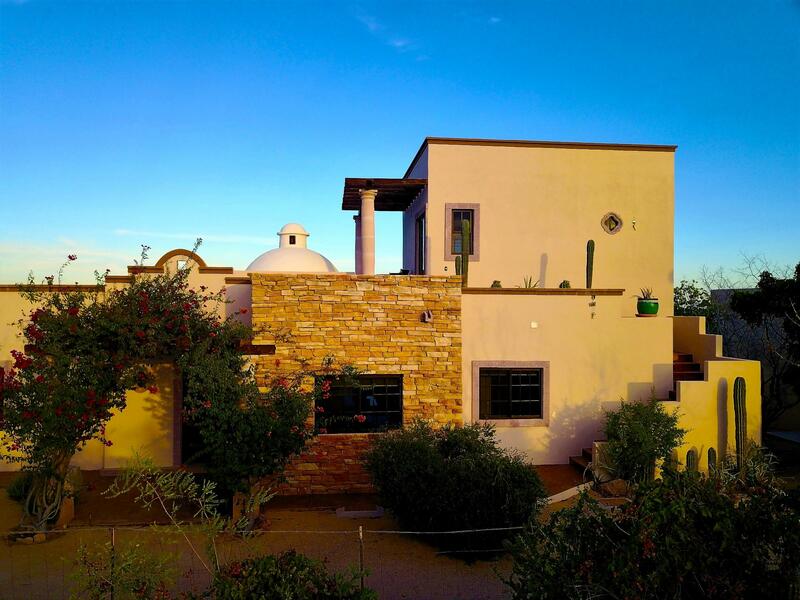 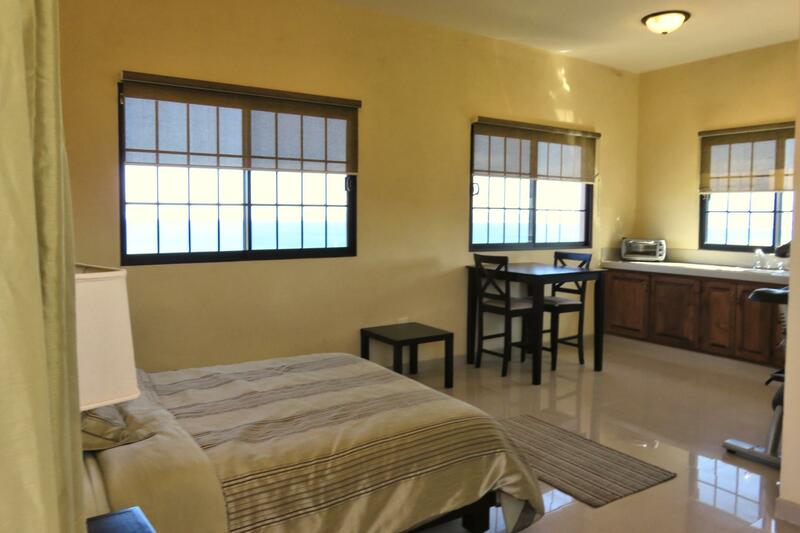 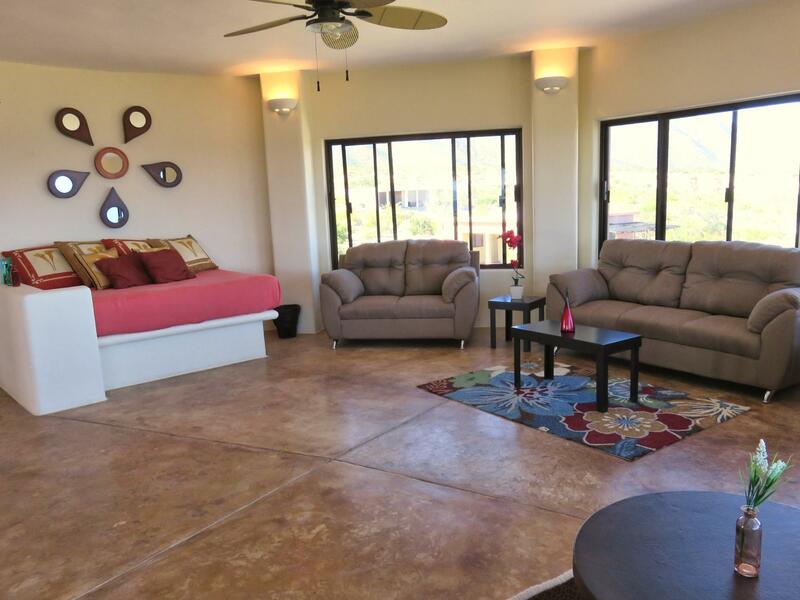 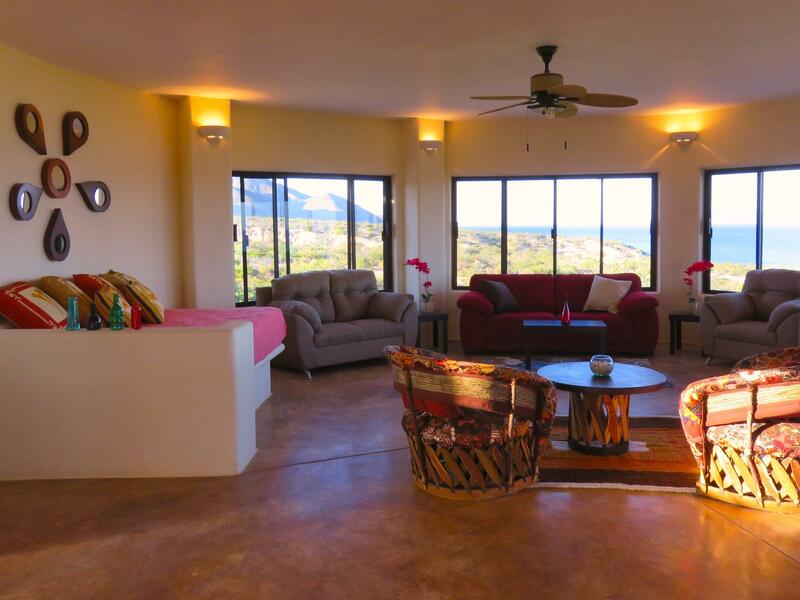 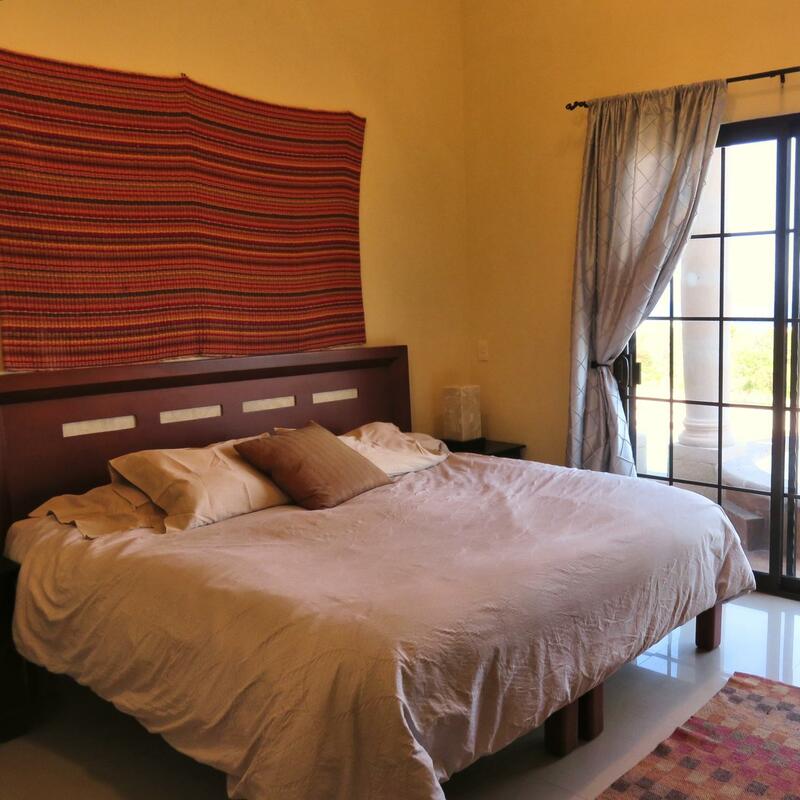 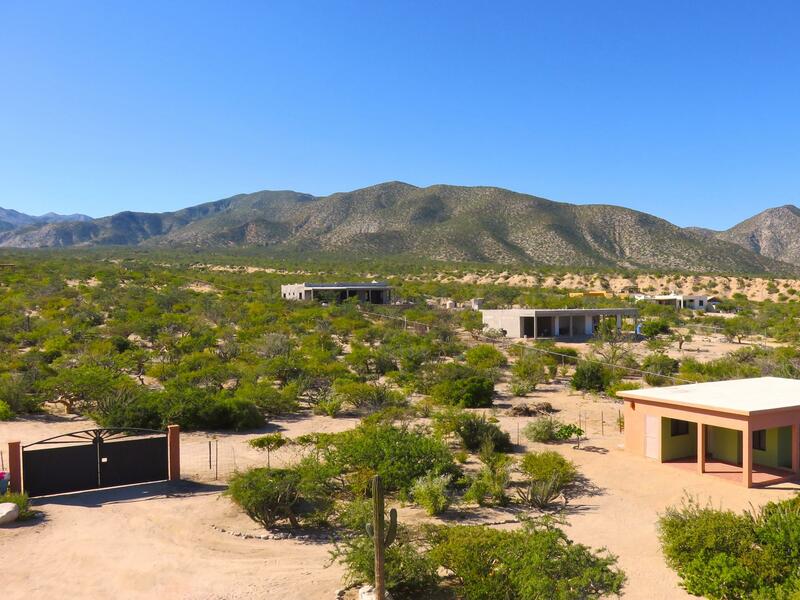 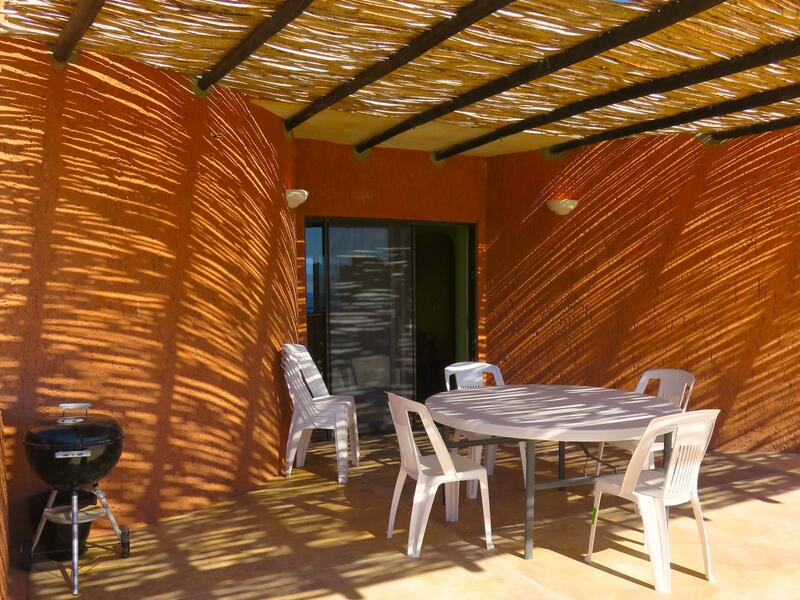 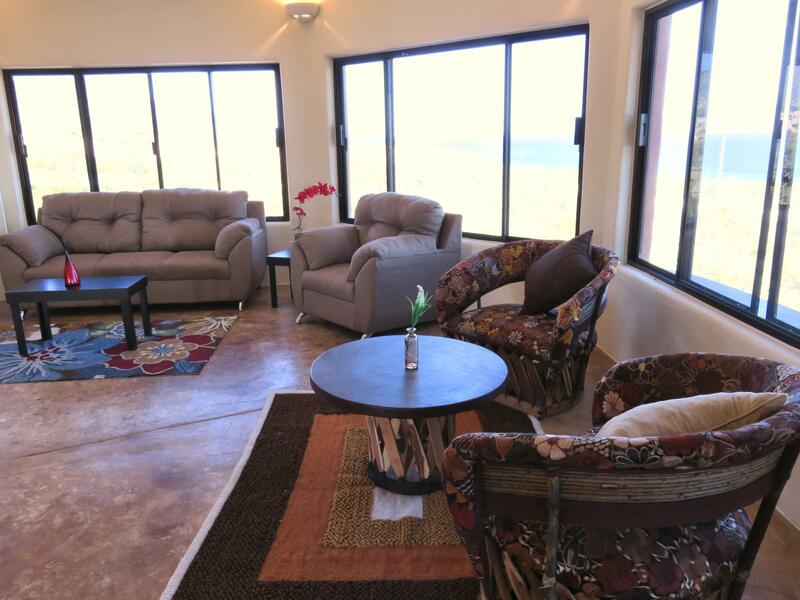 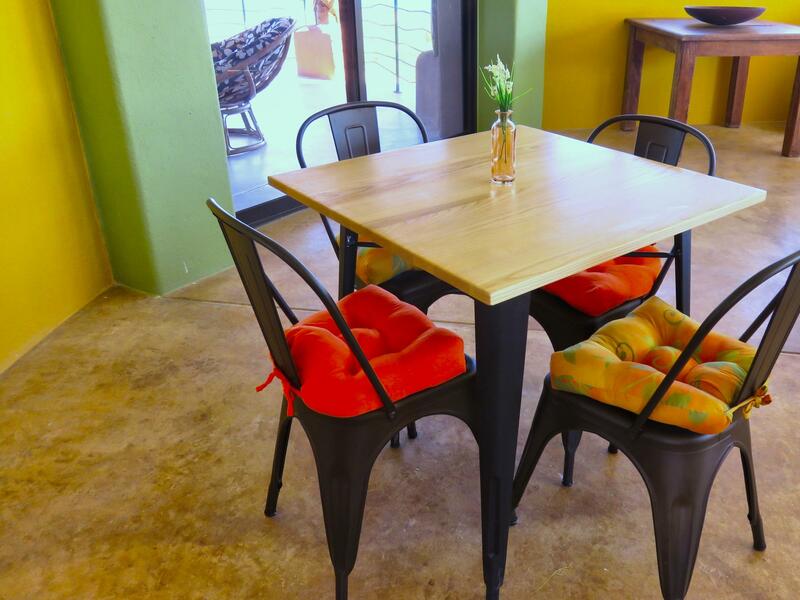 The location is perfect for those wishing to be close to both the beach and the amazing hiking/biking paths through the Cardon Cactus forest. 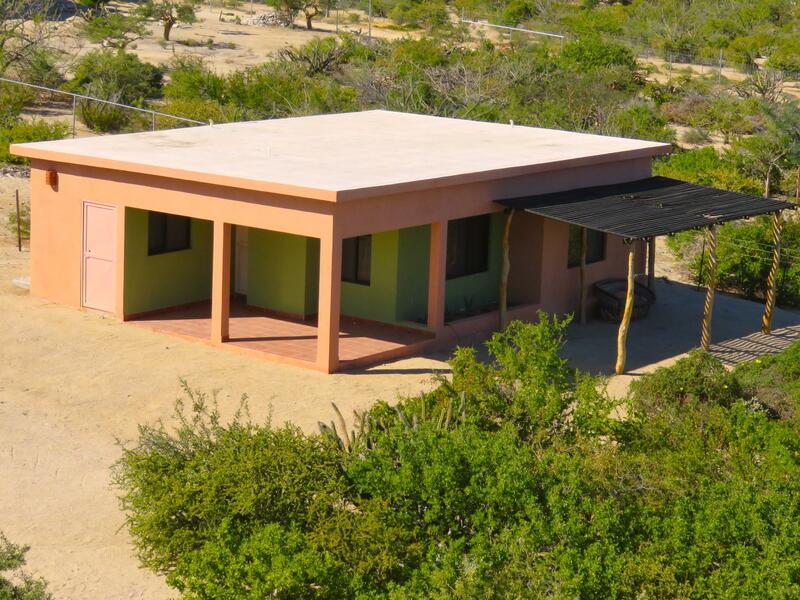 All the expected services are available: electricity; water; telephone; Internet. 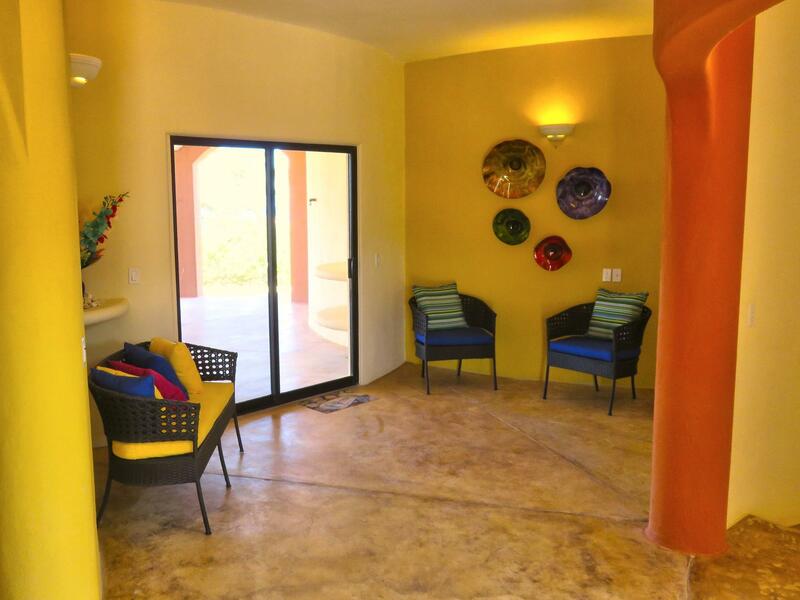 A bonus rarity, Azul Azul has a double car garage with entrance to the house itself; great for storage and access to toys! 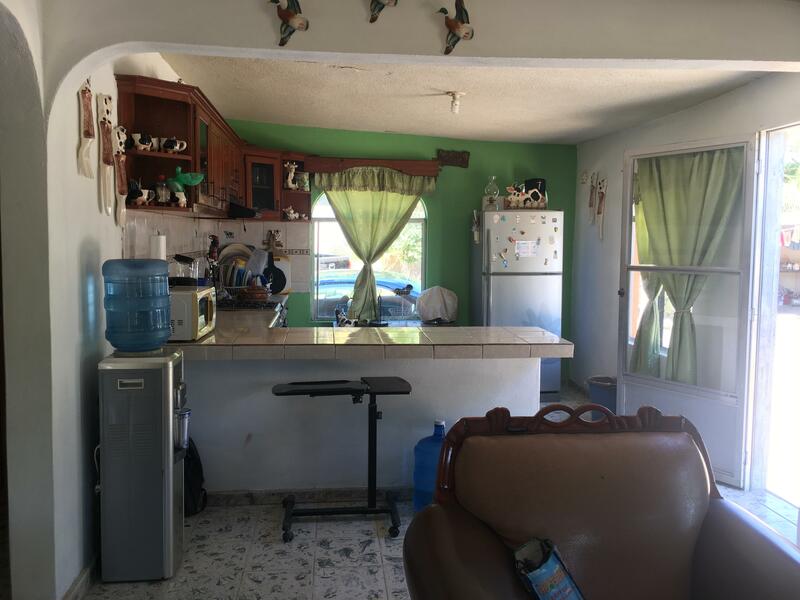 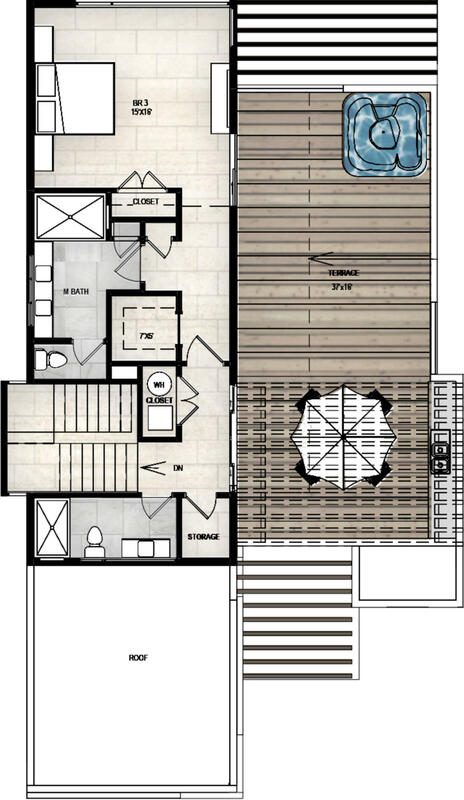 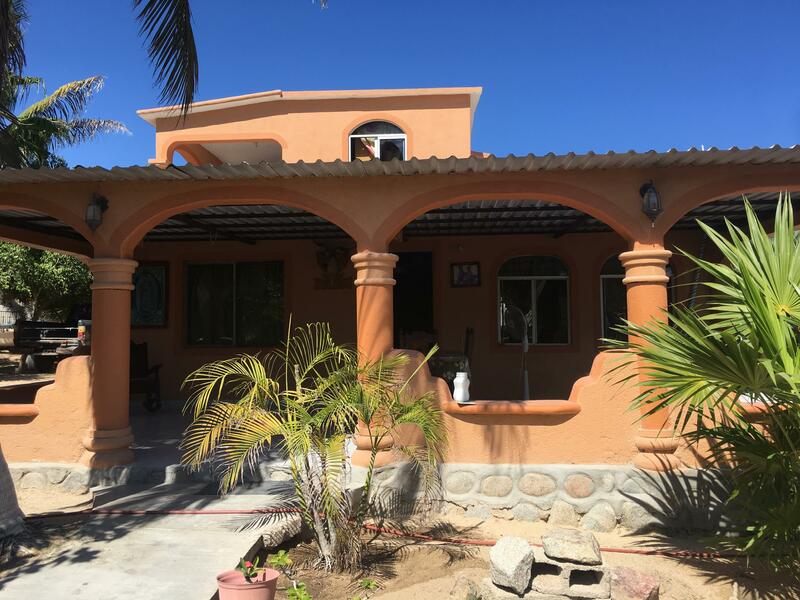 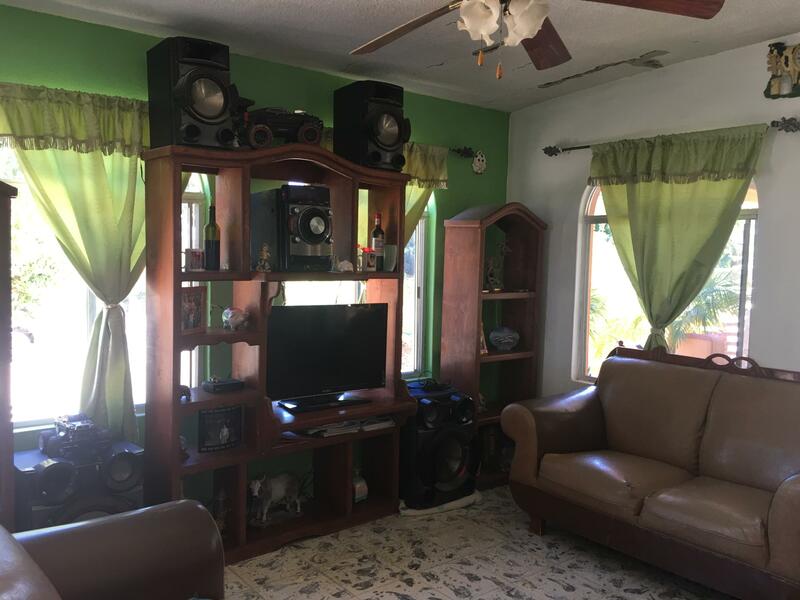 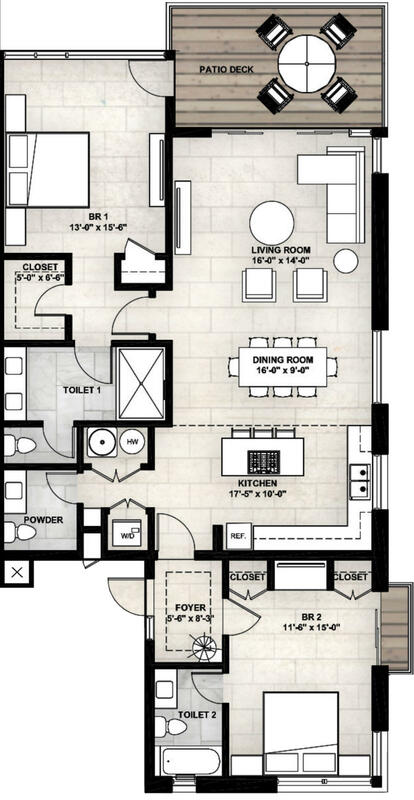 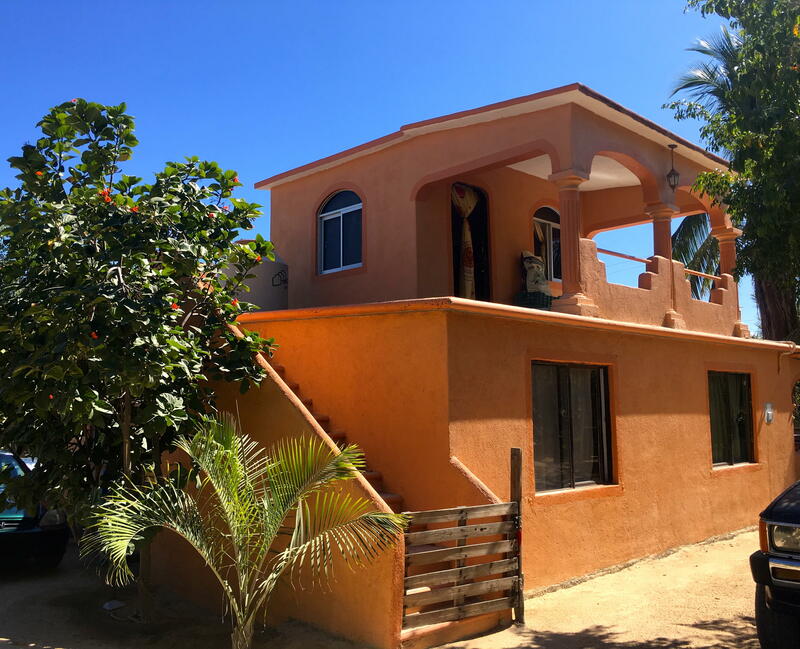 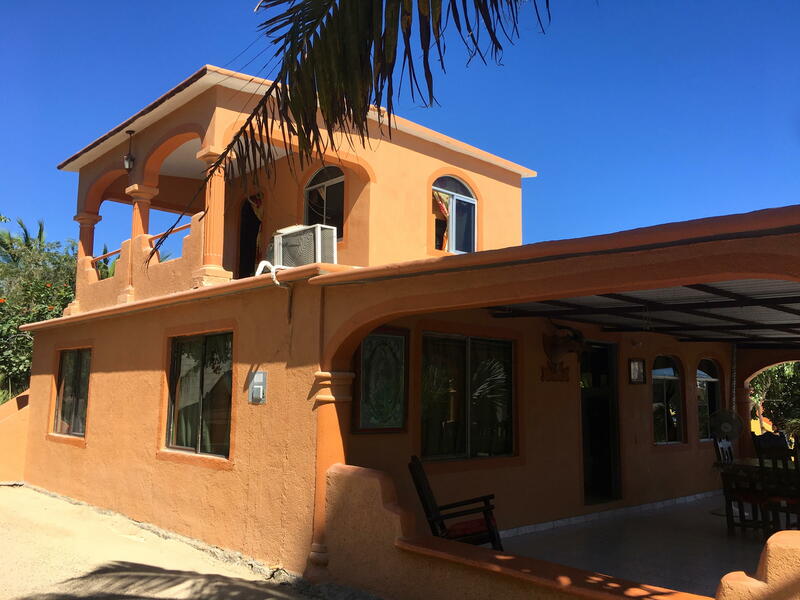 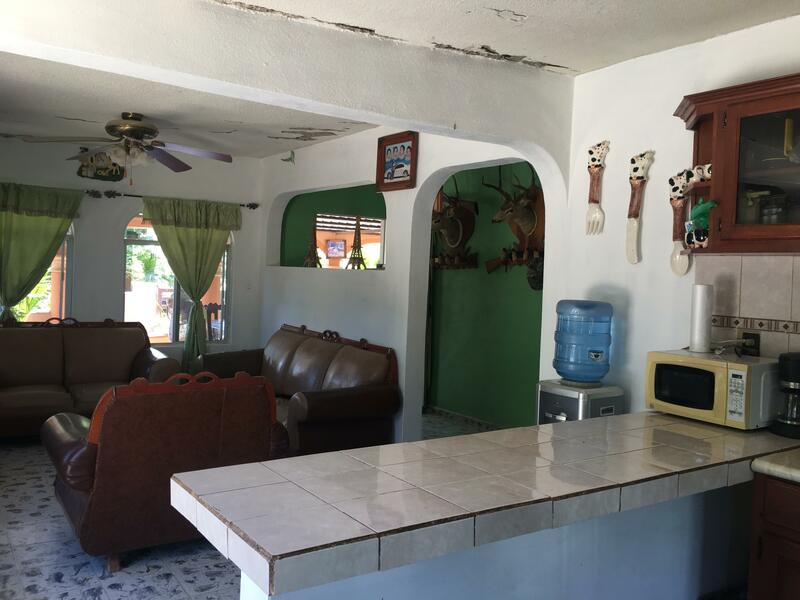 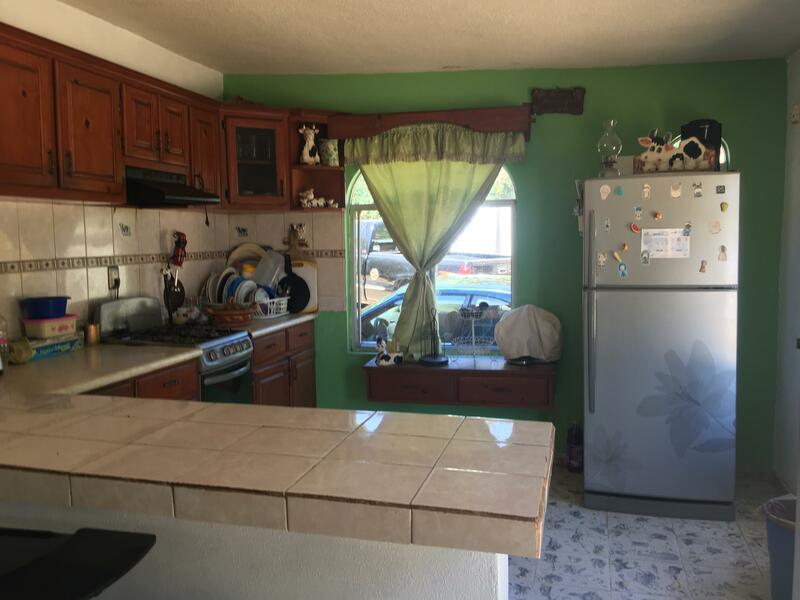 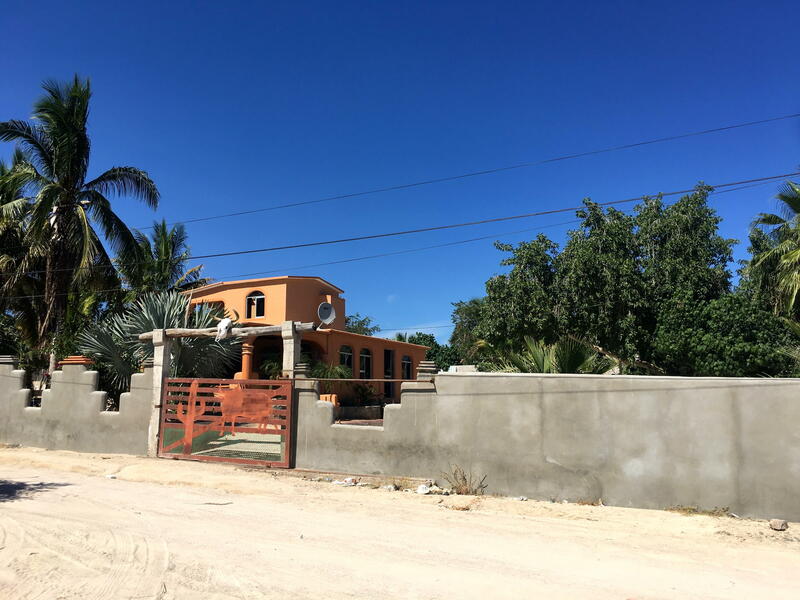 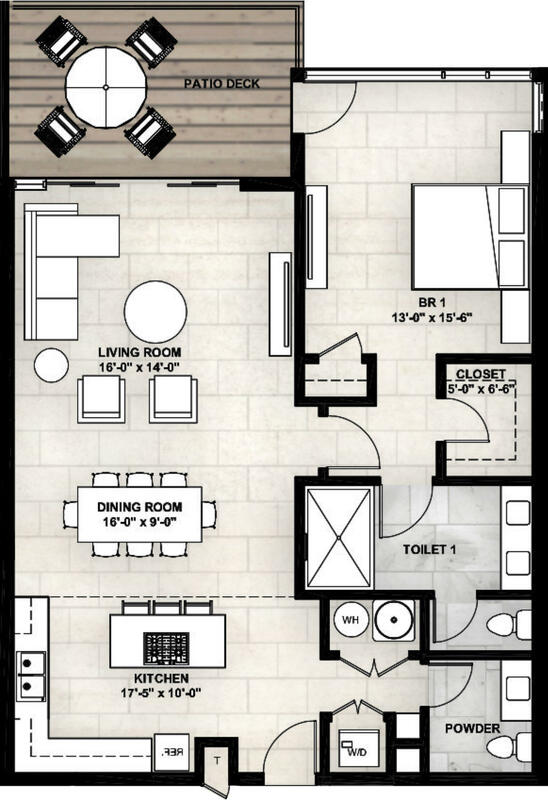 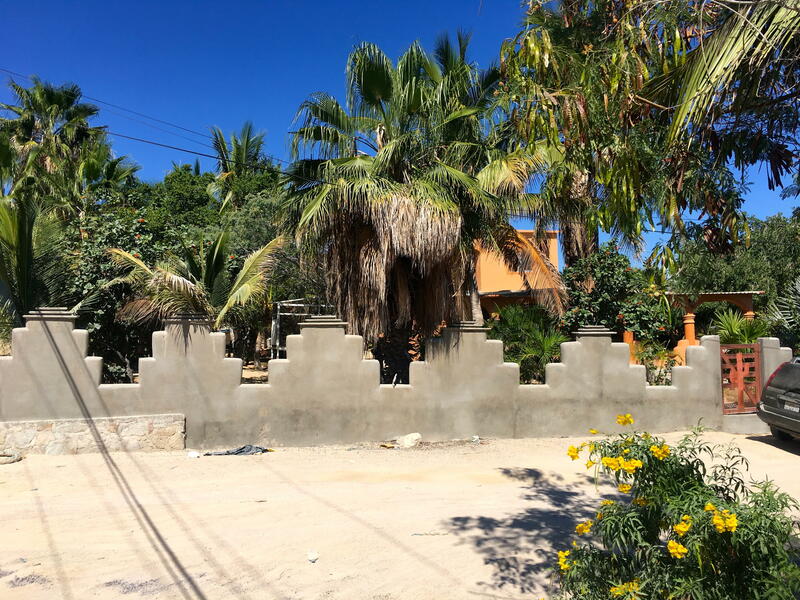 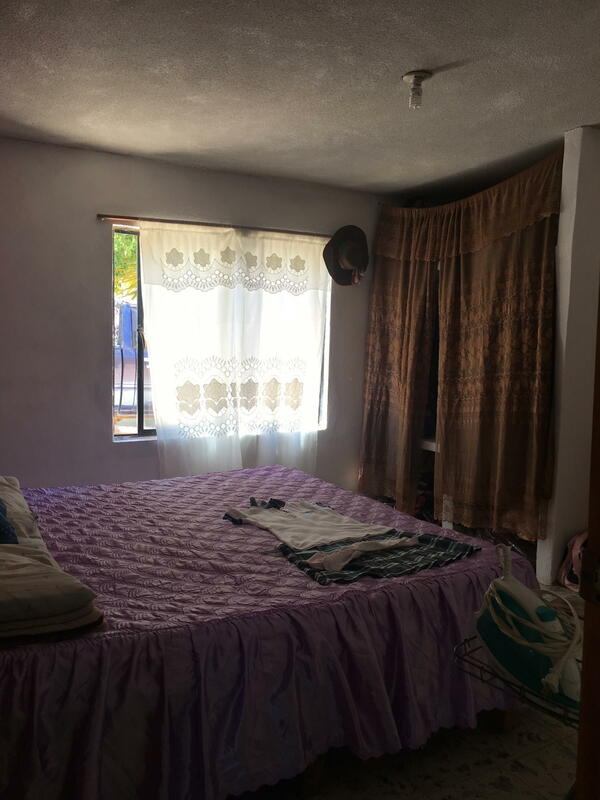 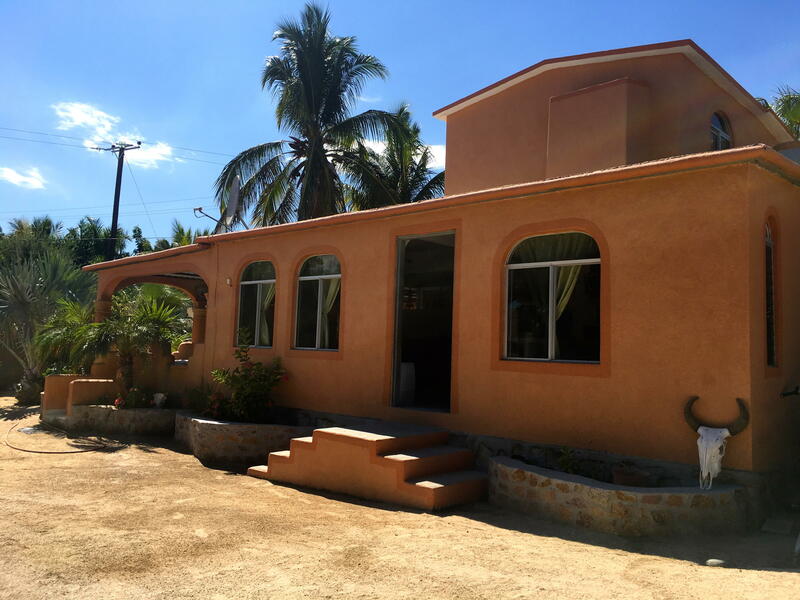 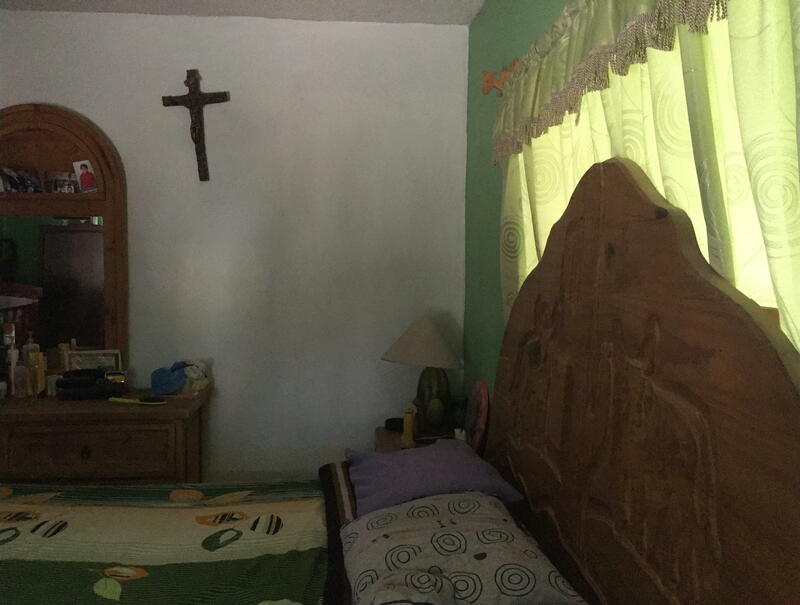 Topping all of this, this large property comes with a separate, fully functional and livable one bedroom, one bath Casita. 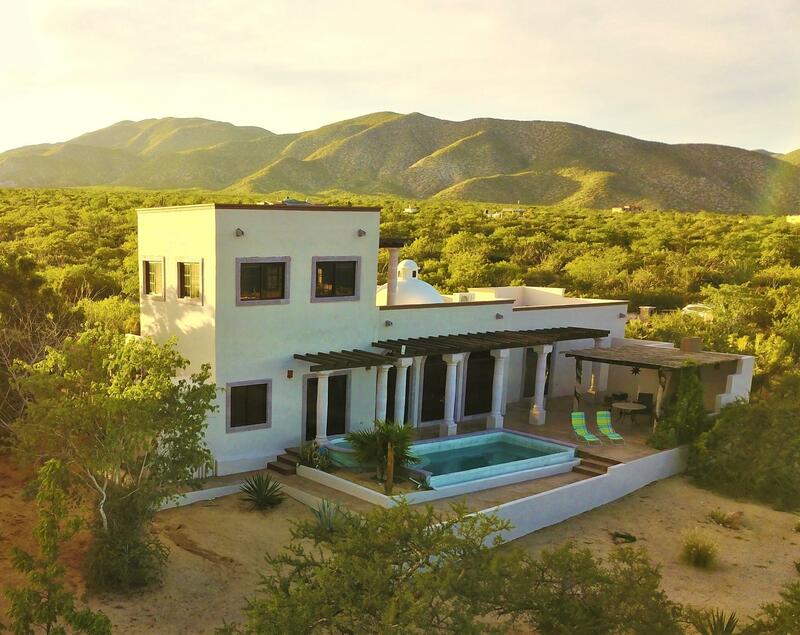 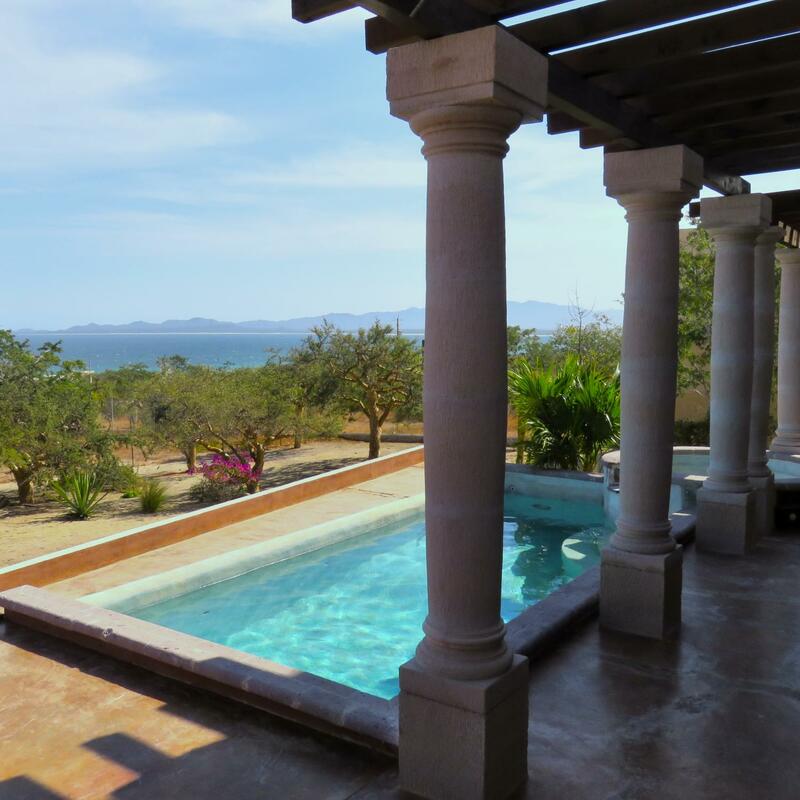 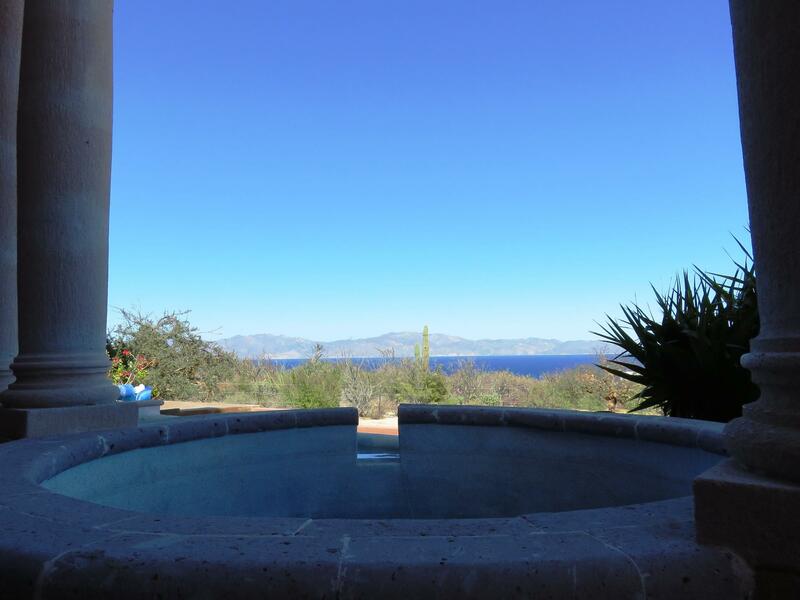 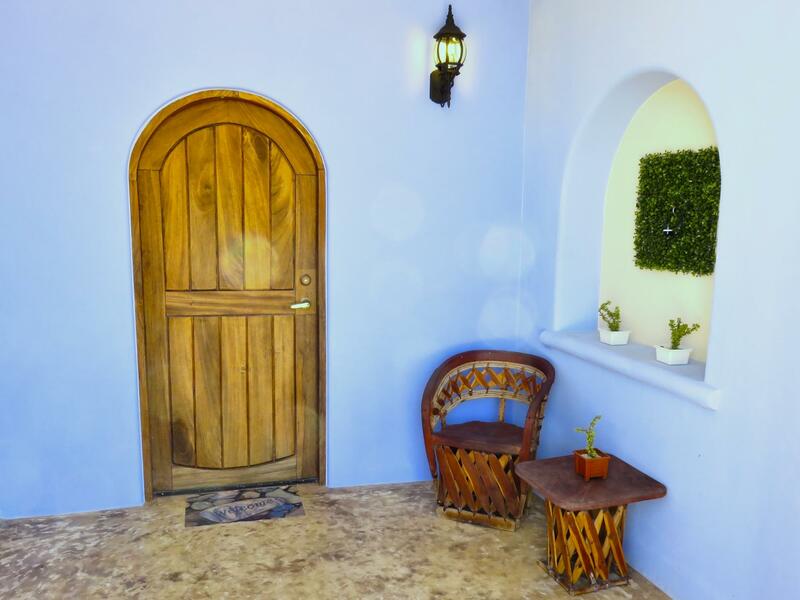 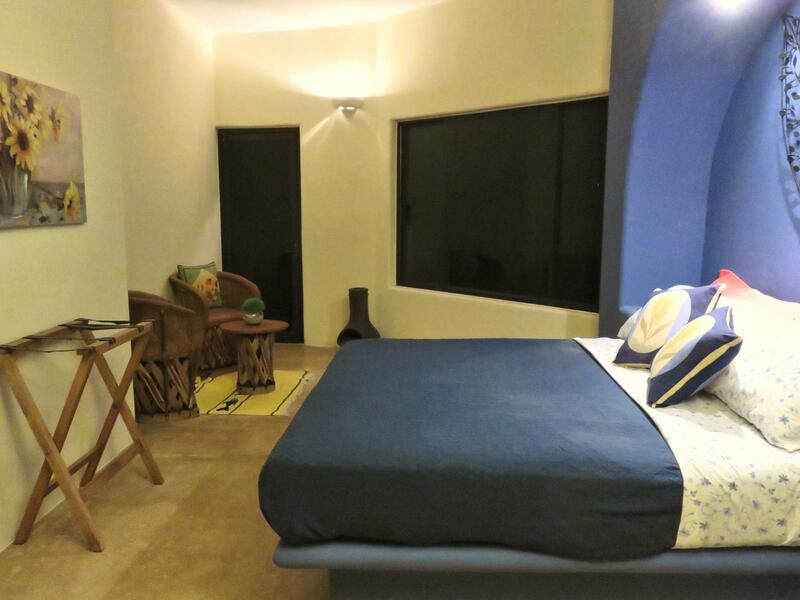 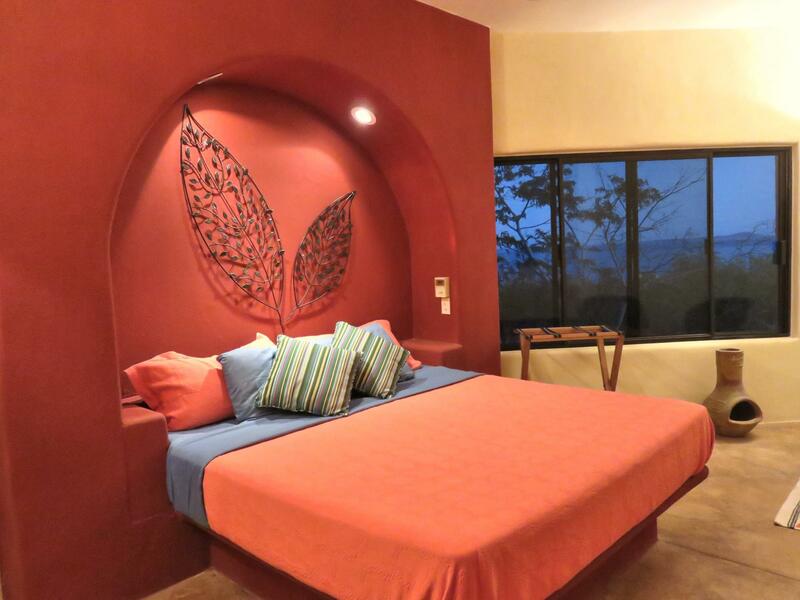 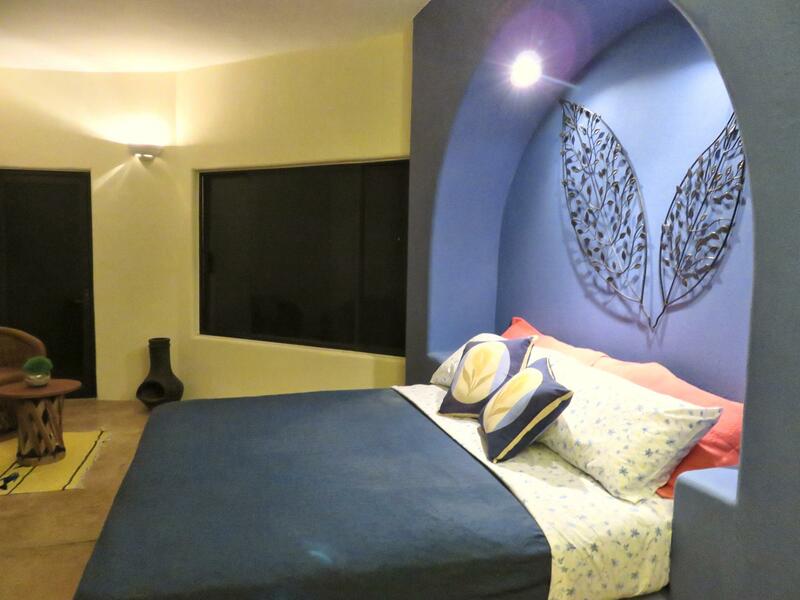 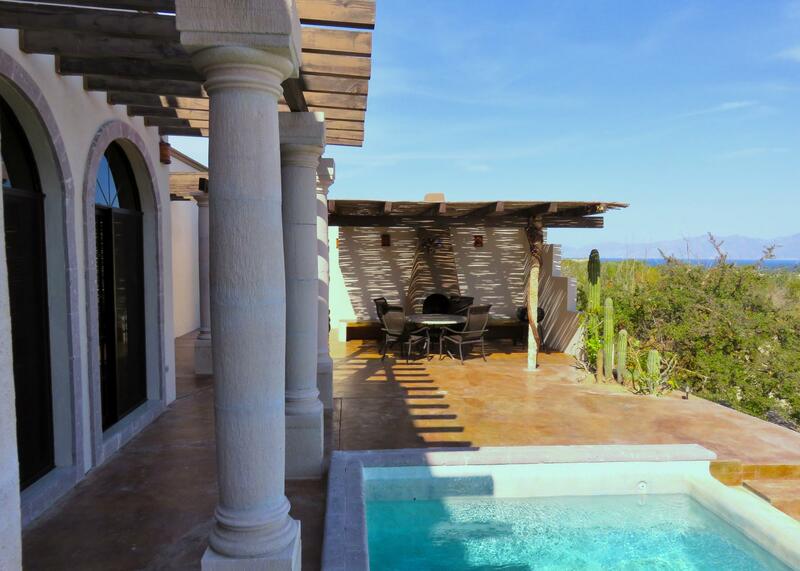 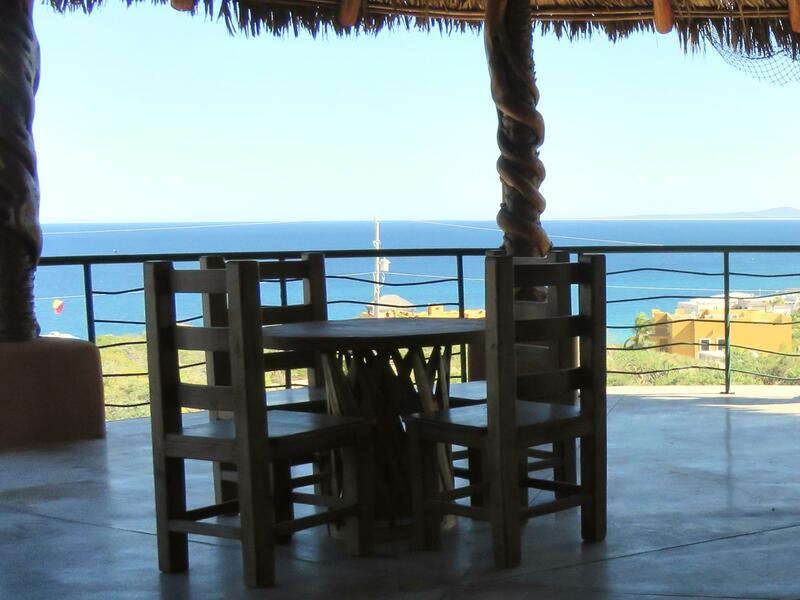 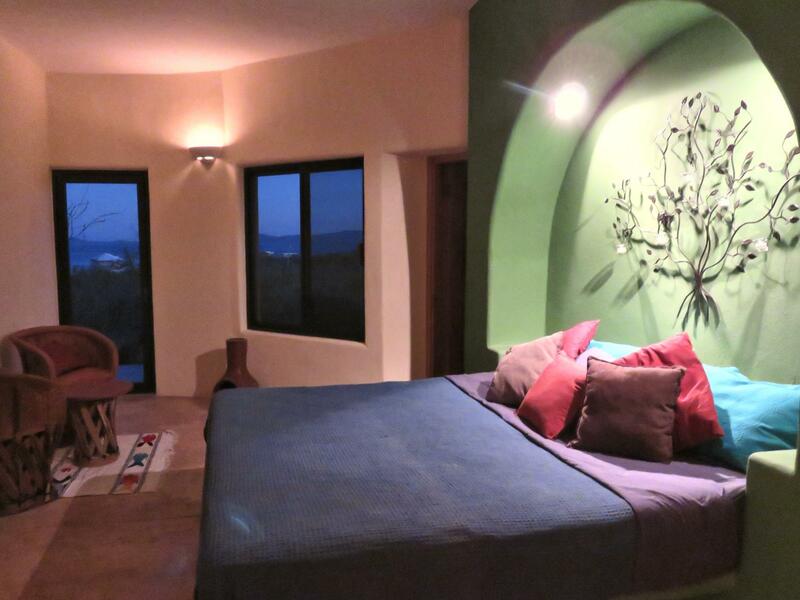 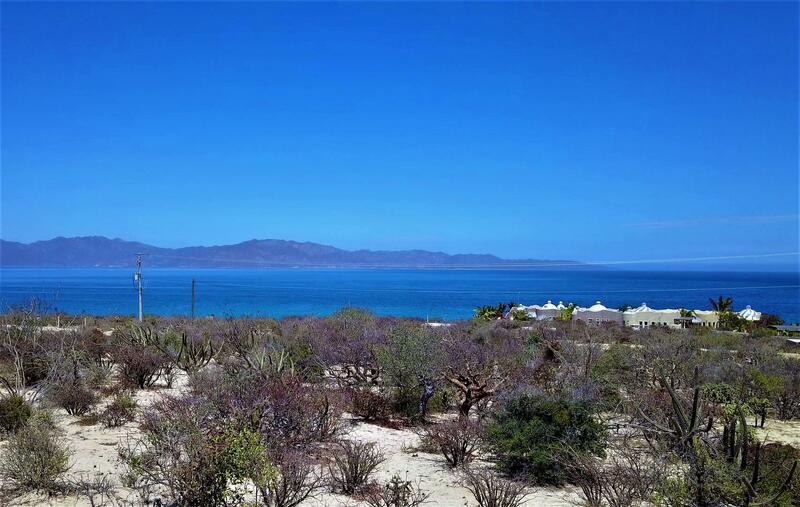 Hacienda Azul Azul is truly a one-of-a-kind Baja sueno realidad. 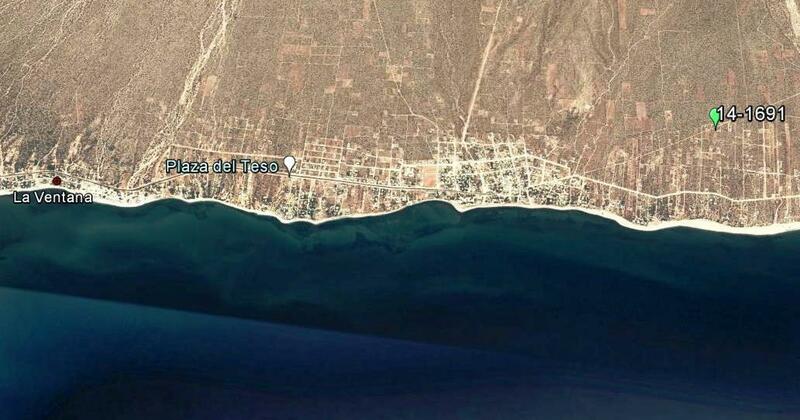 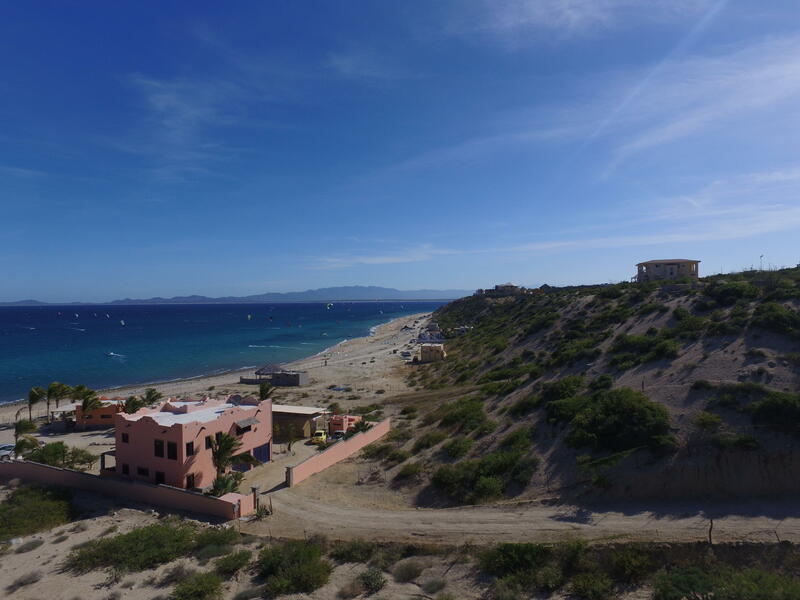 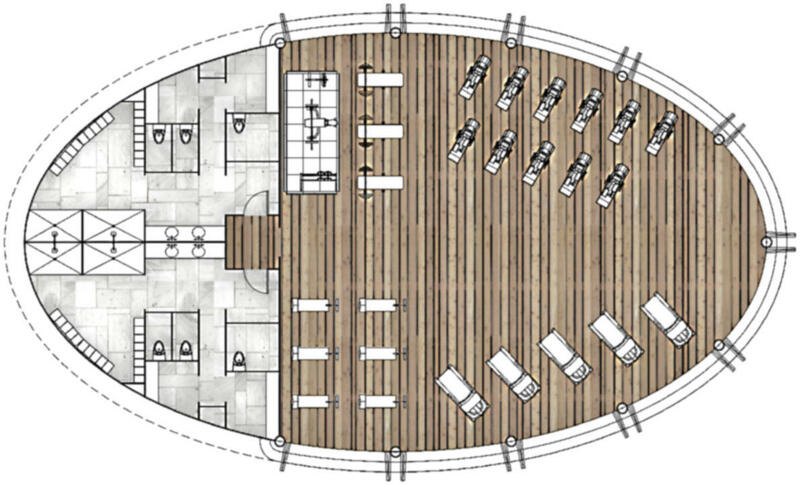 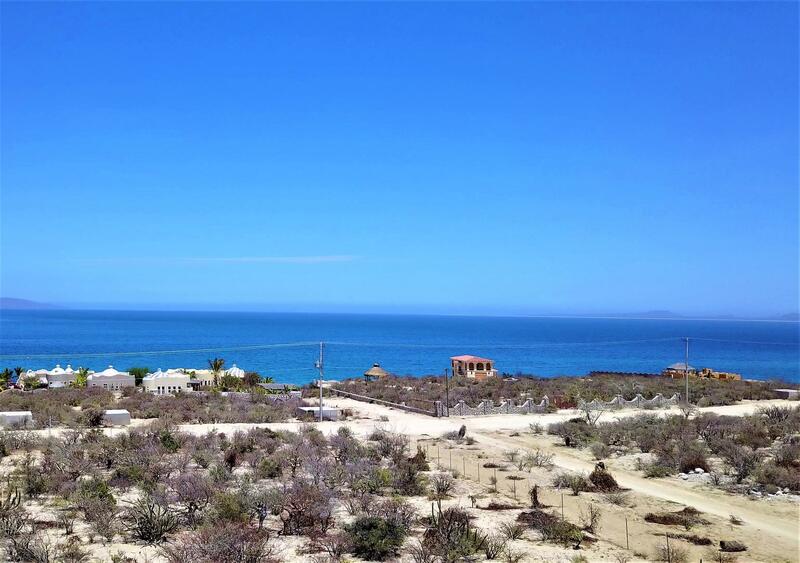 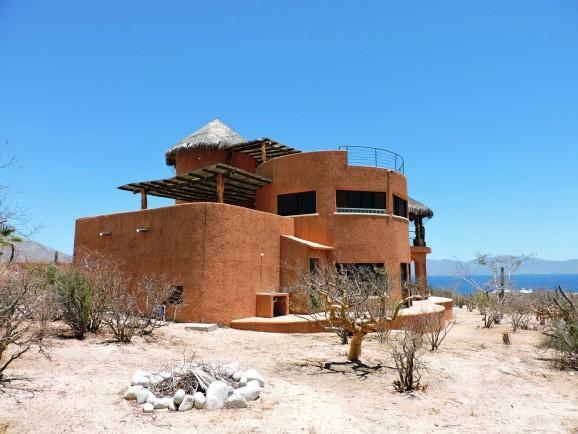 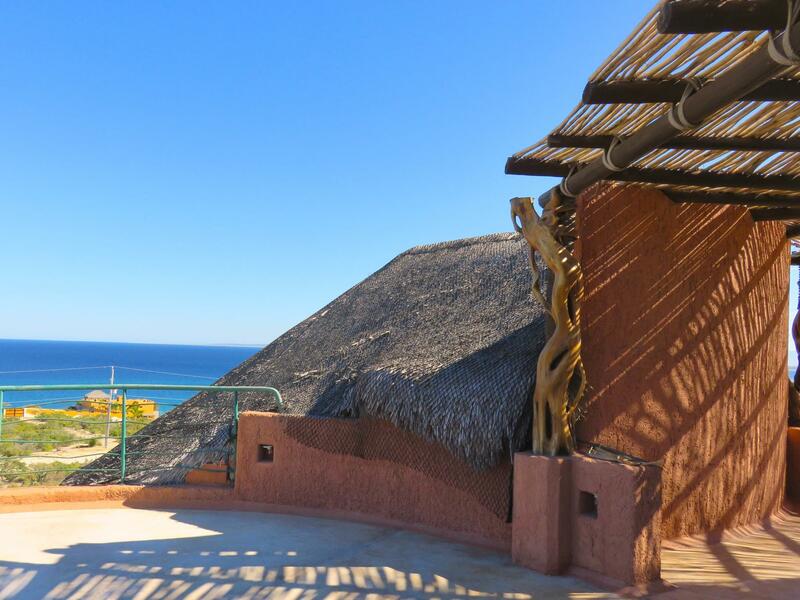 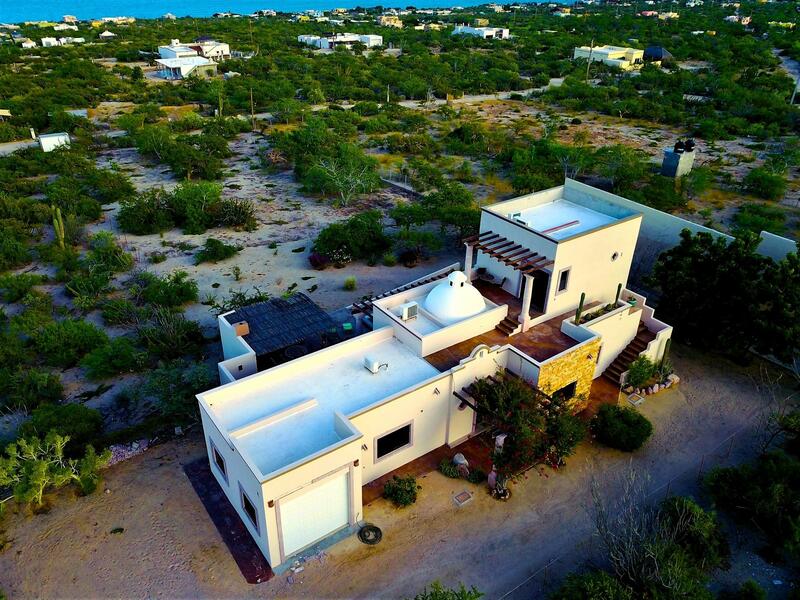 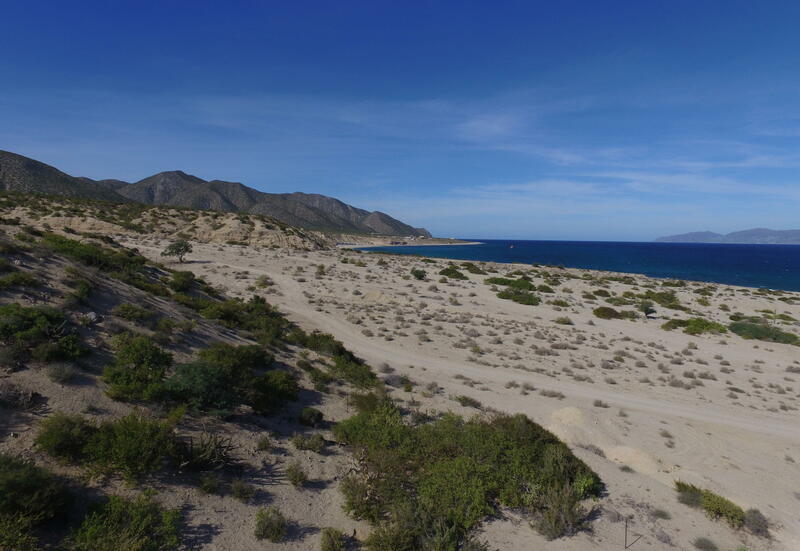 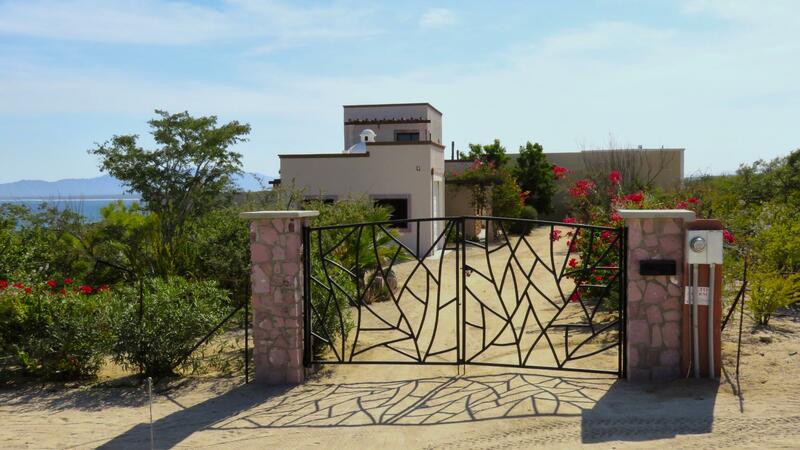 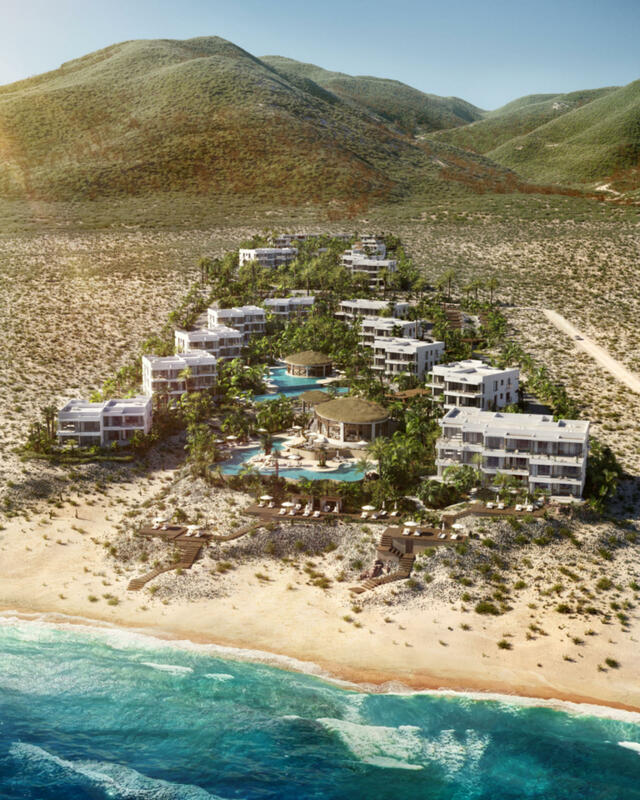 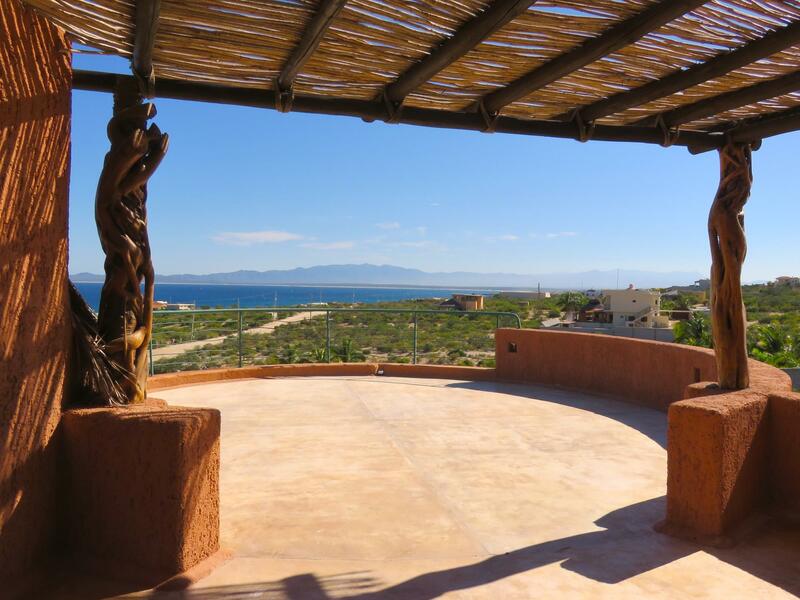 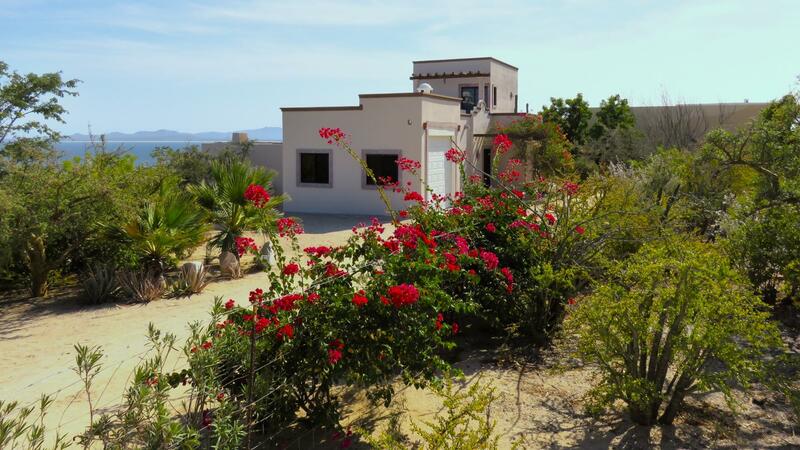 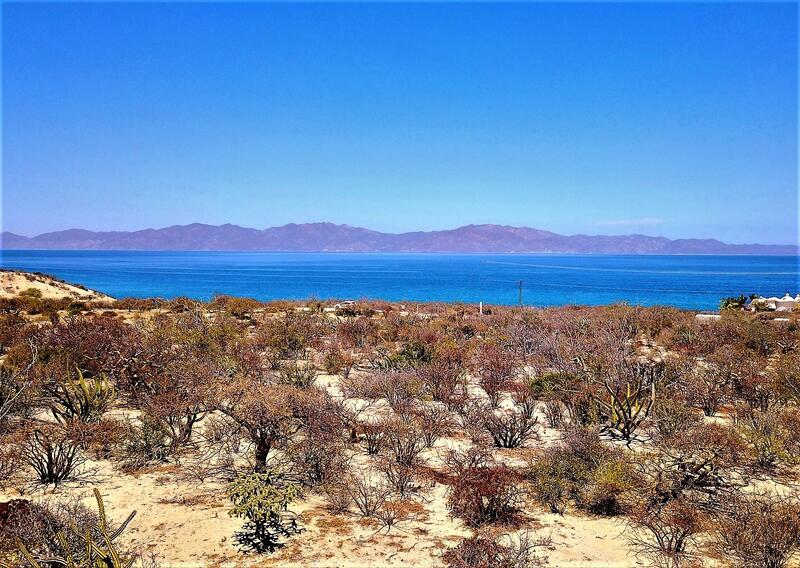 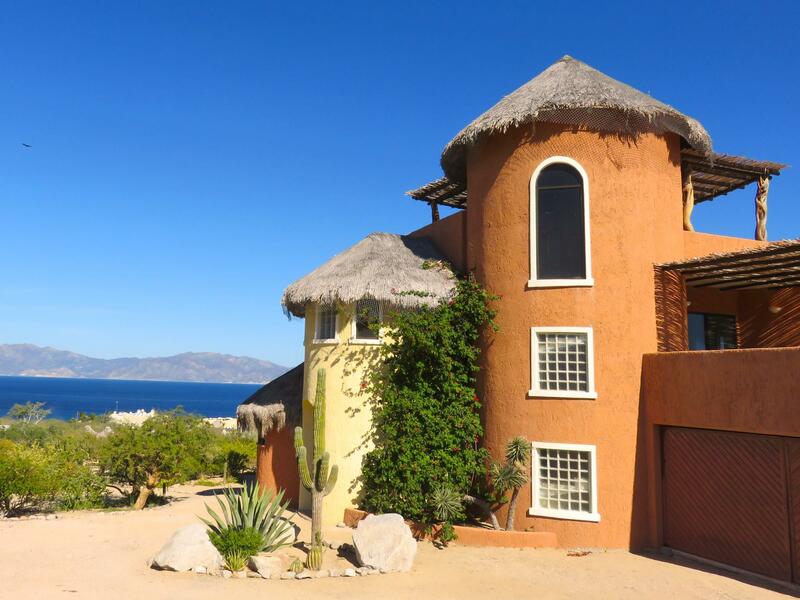 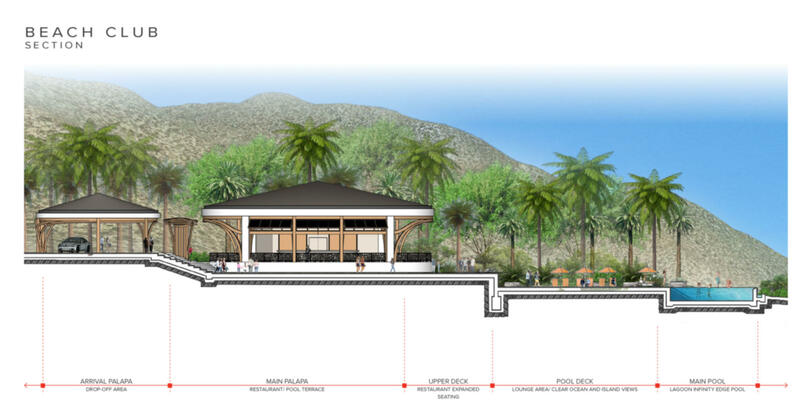 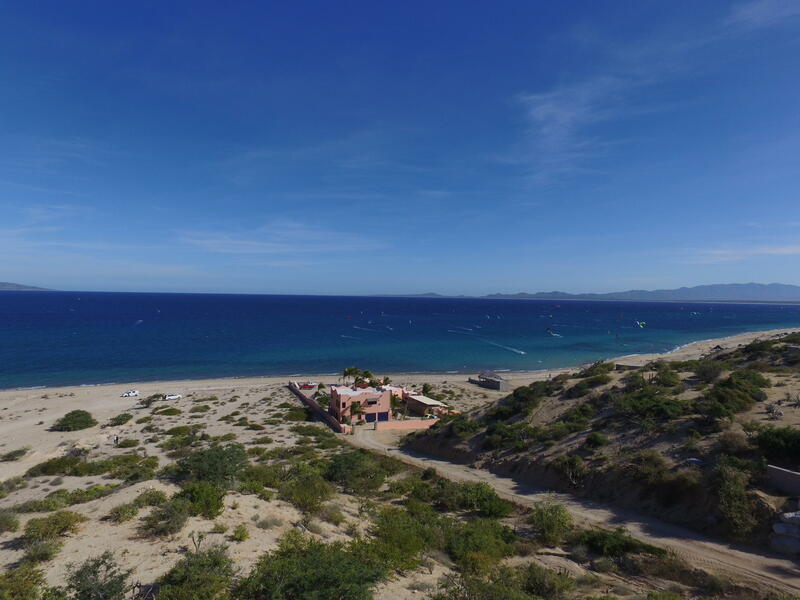 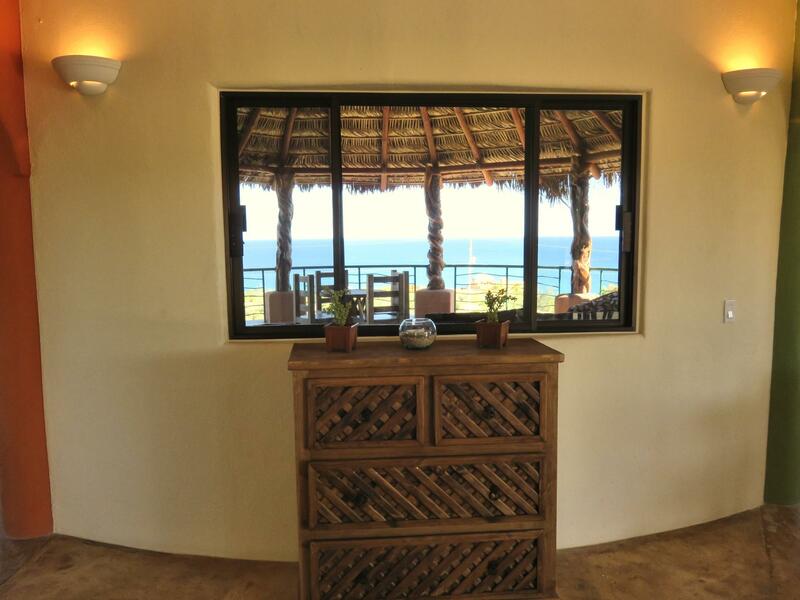 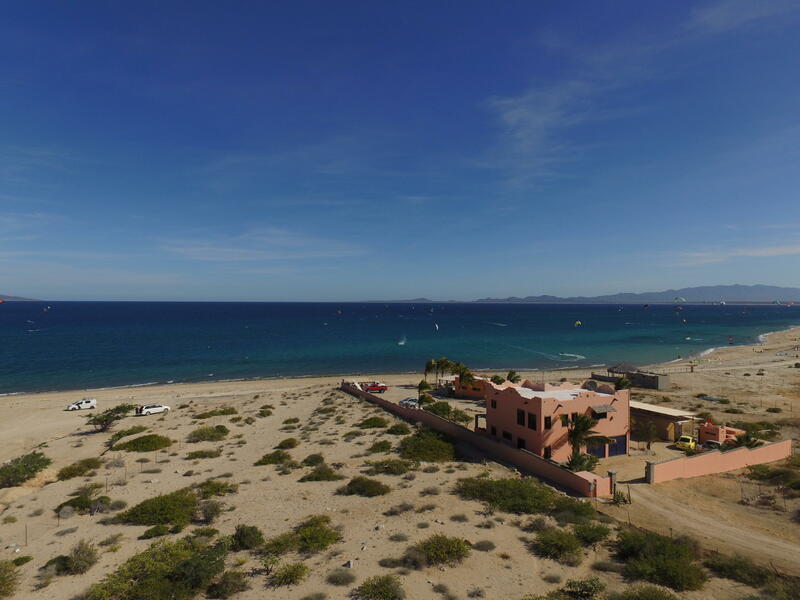 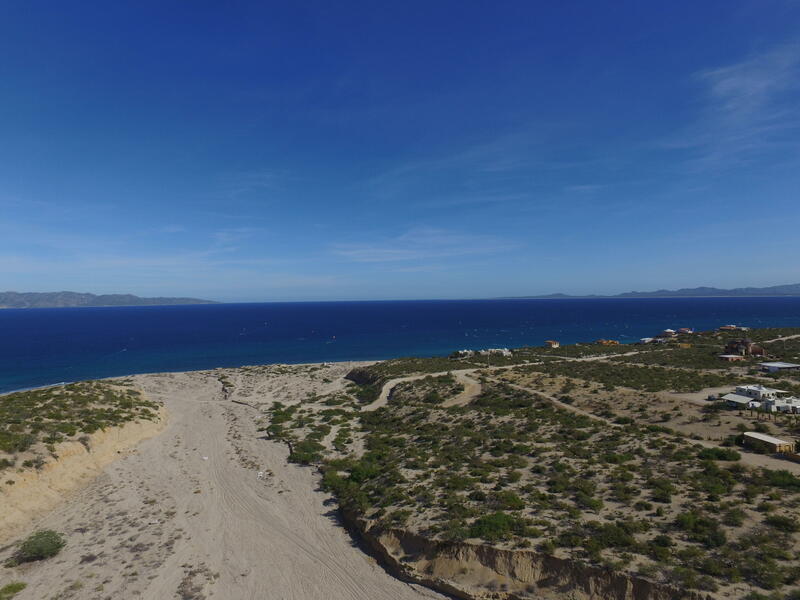 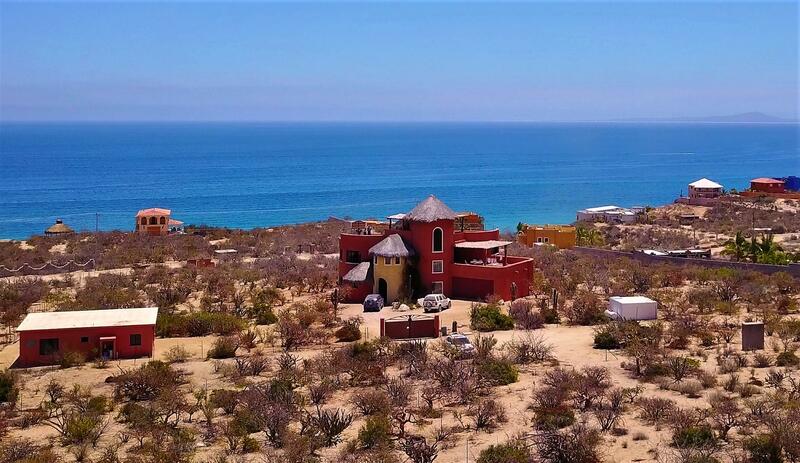 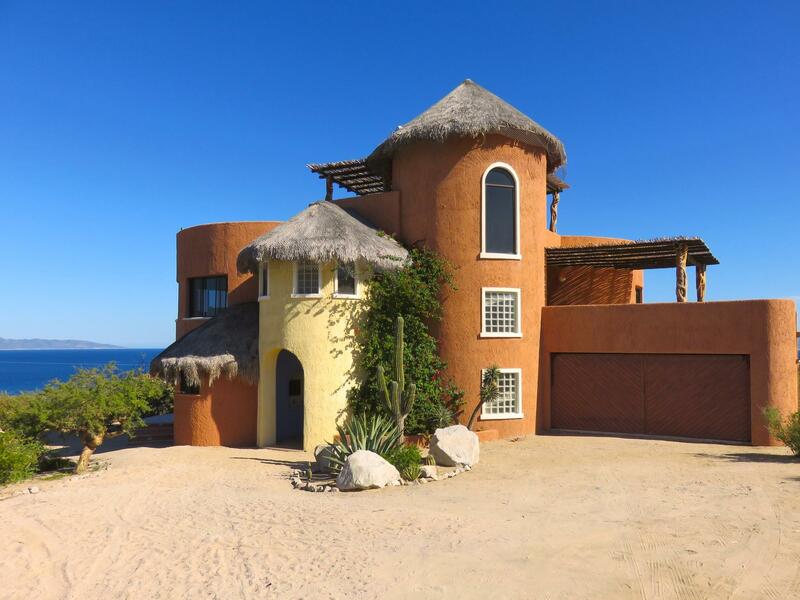 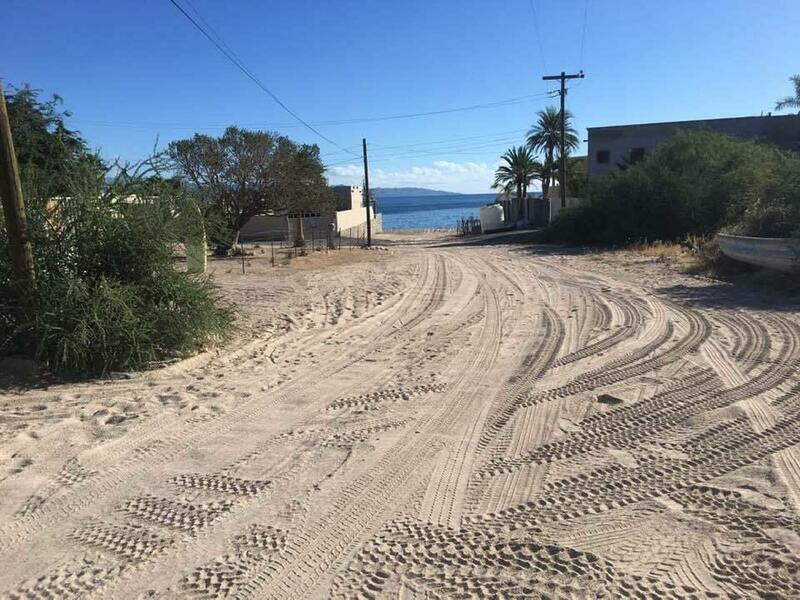 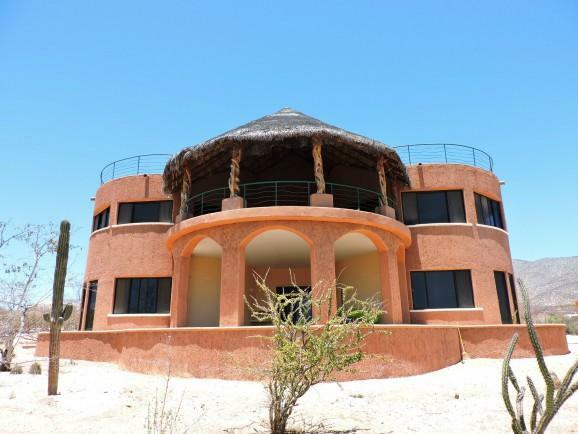 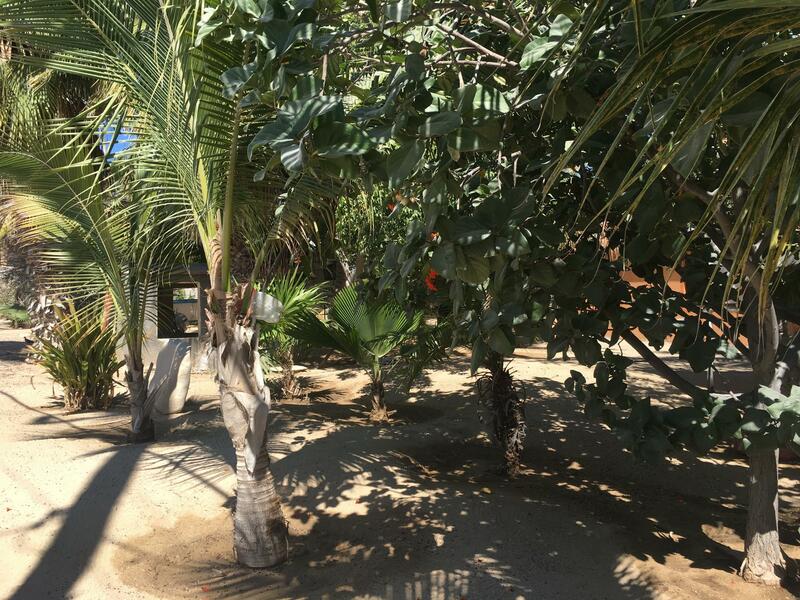 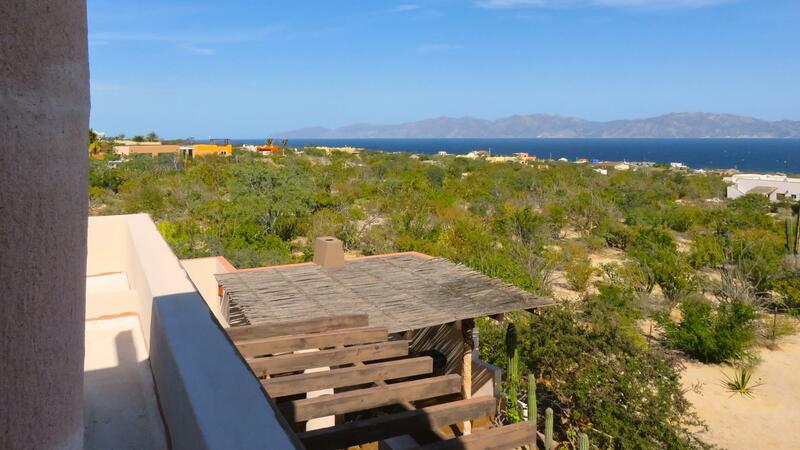 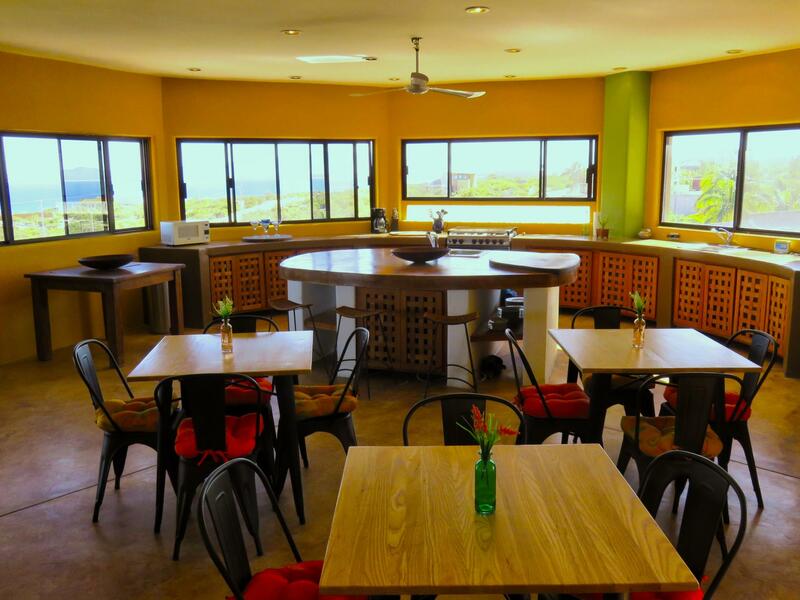 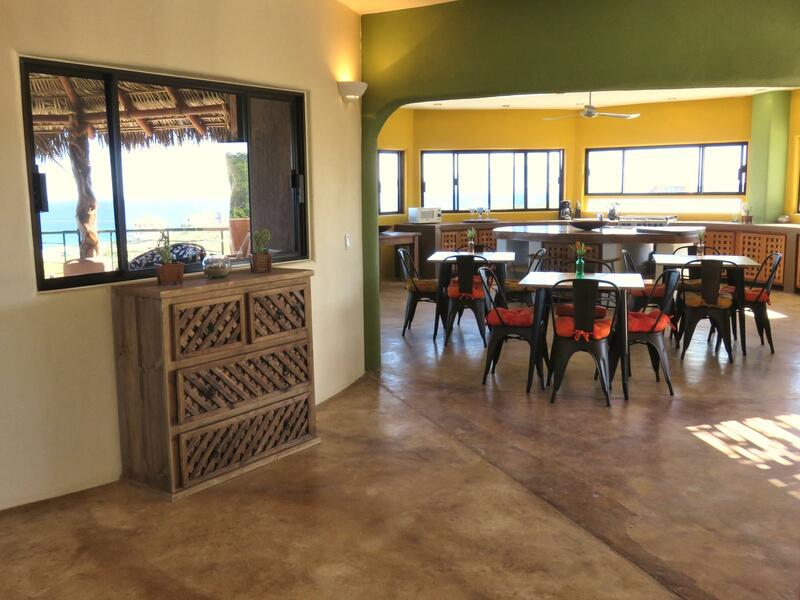 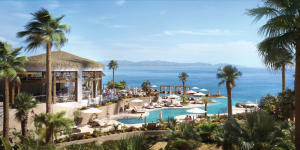 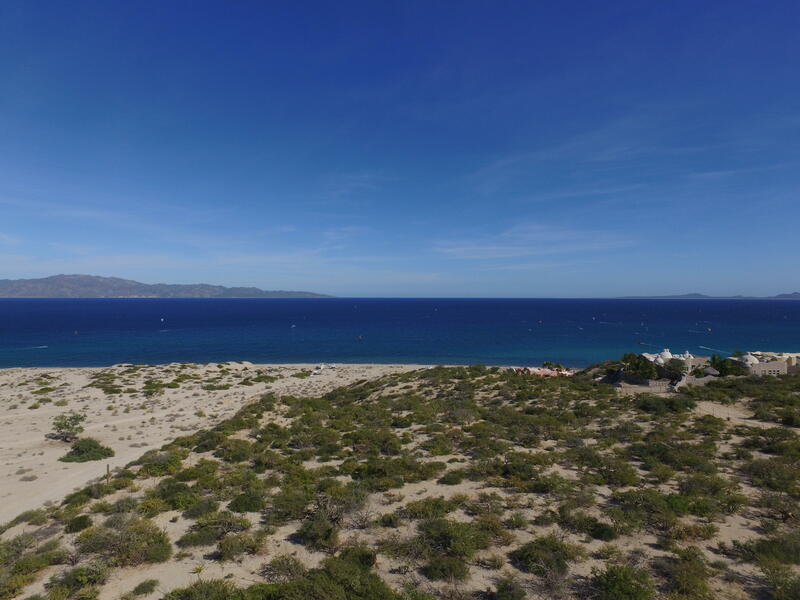 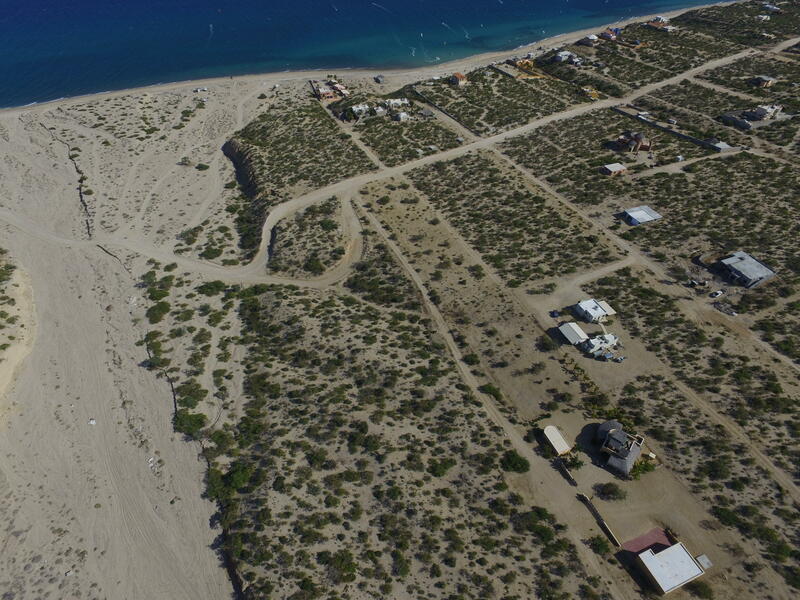 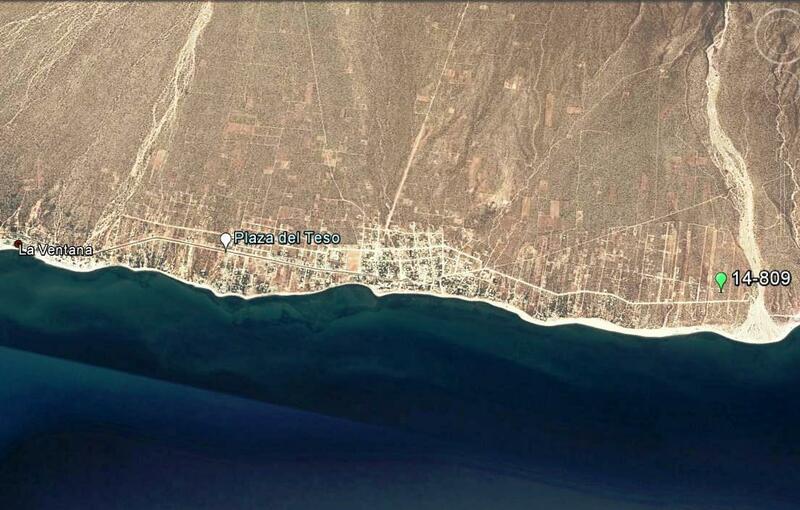 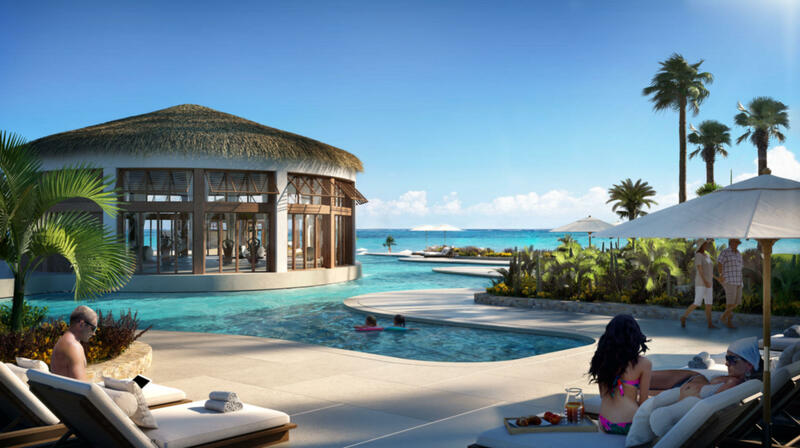 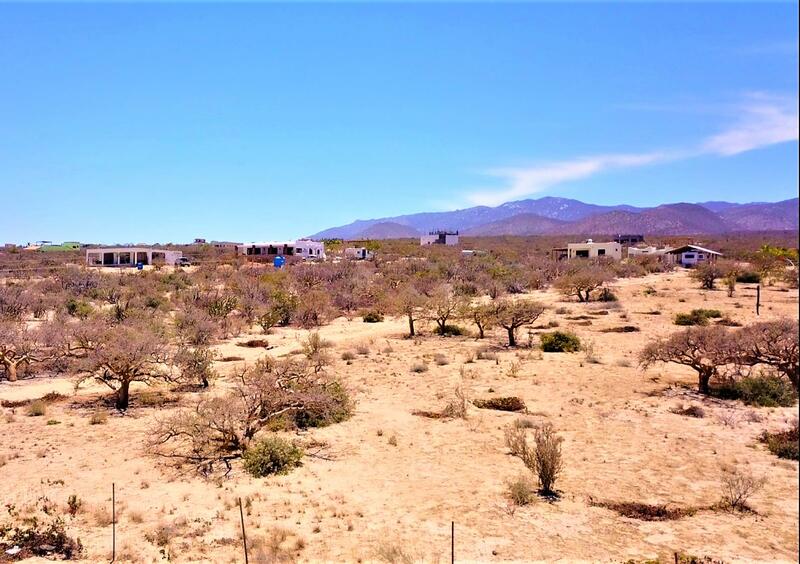 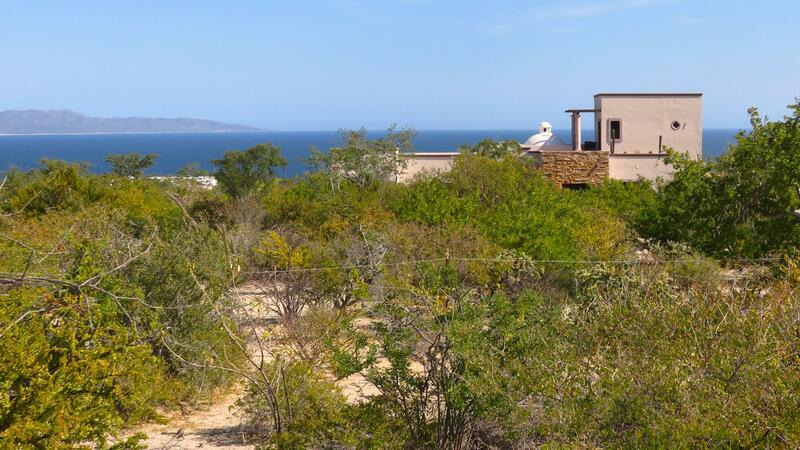 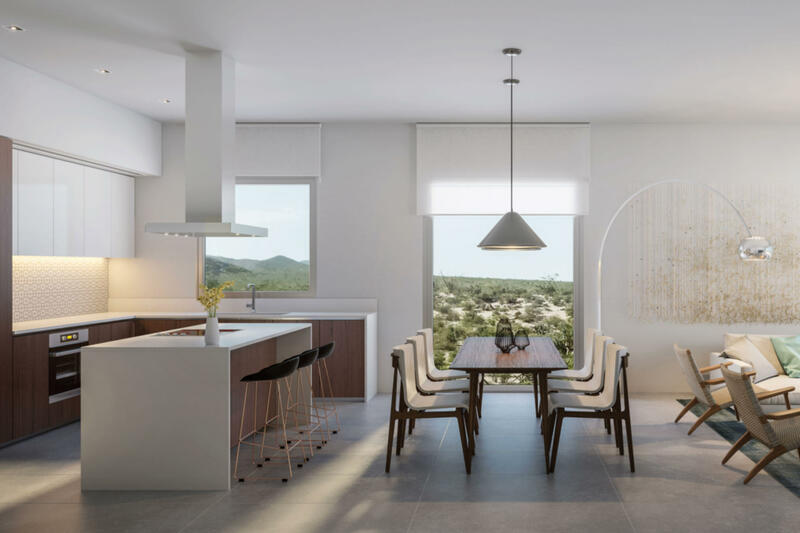 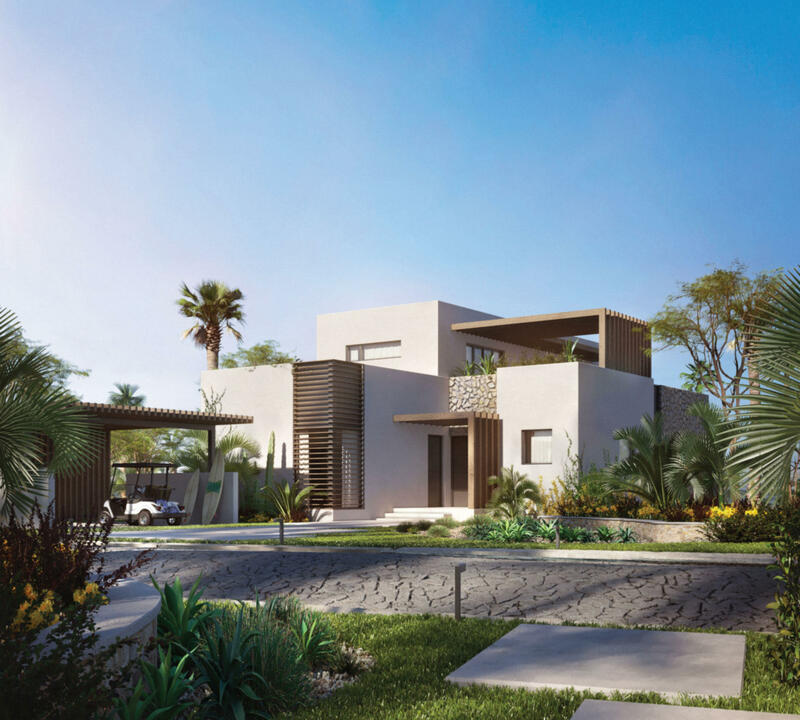 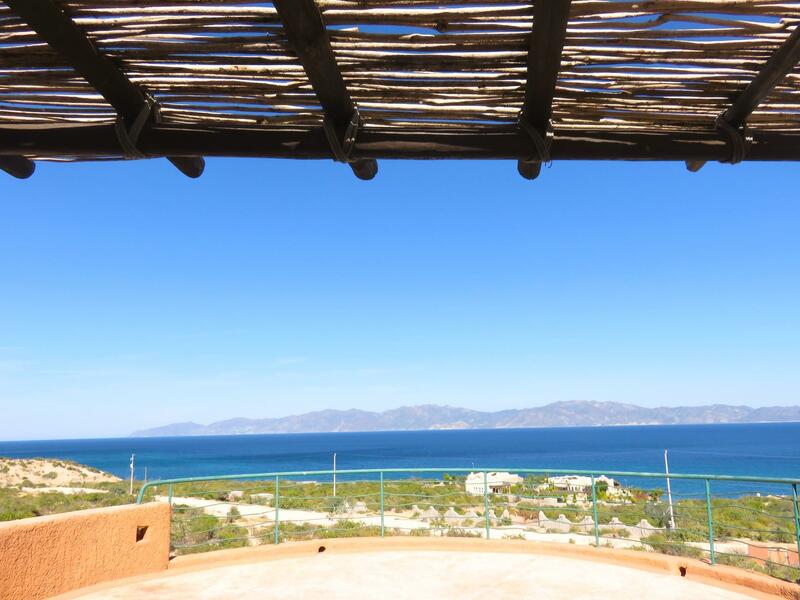 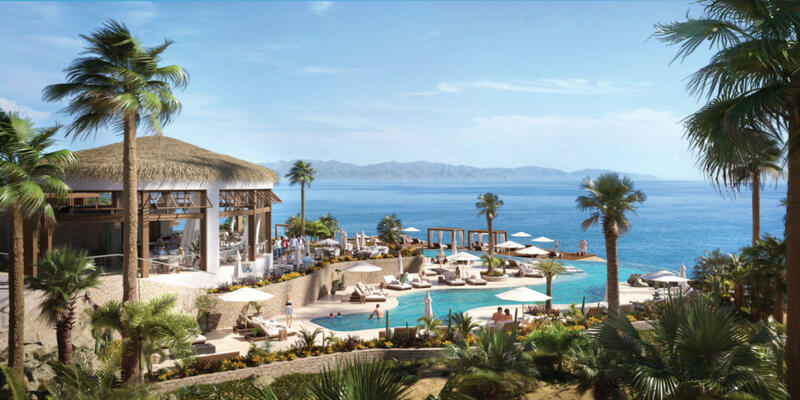 Description: Ventamar is Baja Sur's Newest Luxury Beachfront Development! 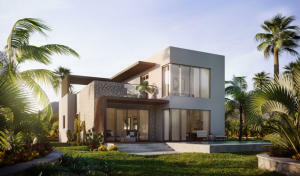 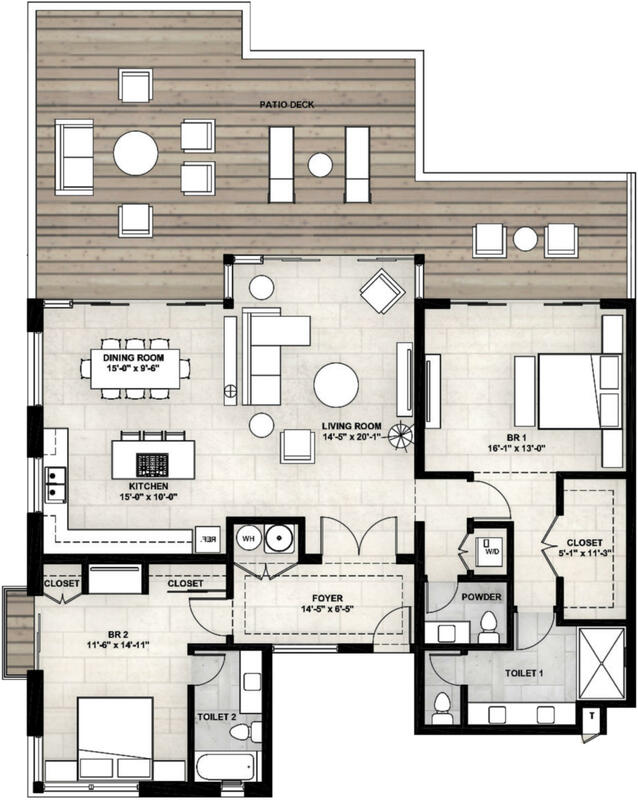 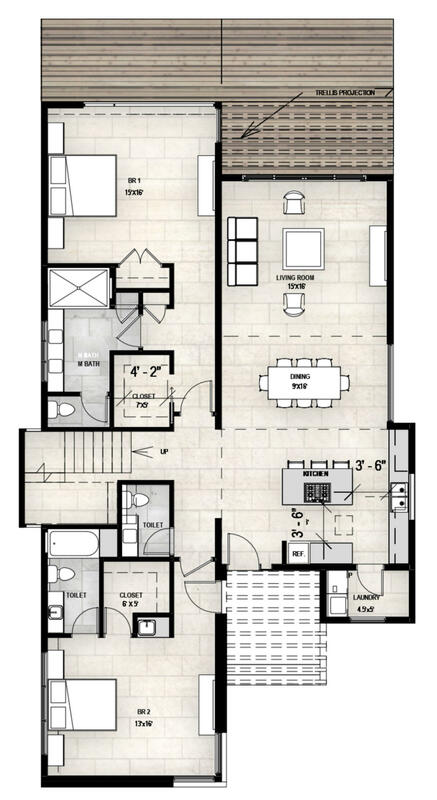 Description: A freshly updated, attractively built, colonial style masterpiece. 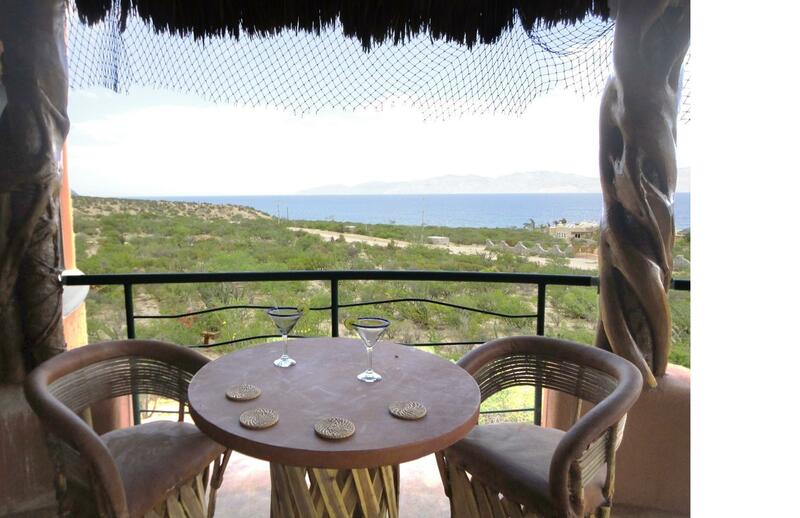 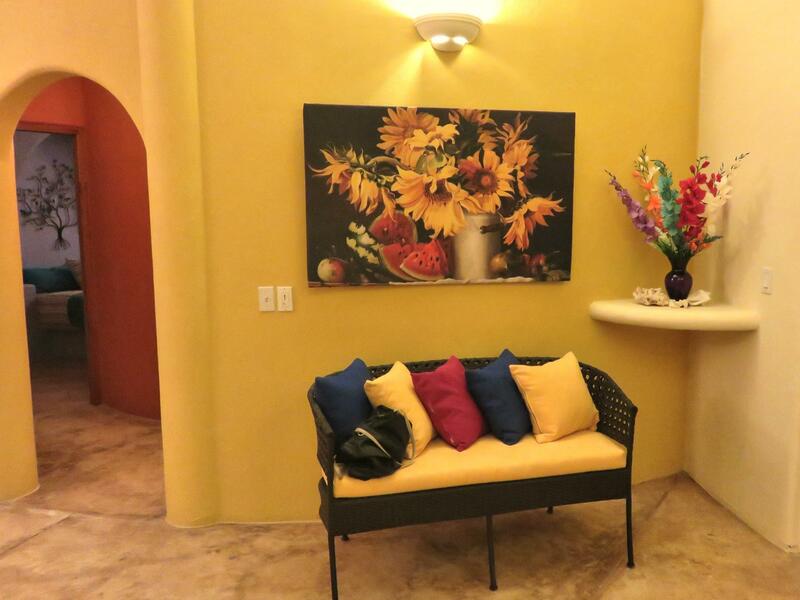 Private paradise awaits you in the prominence of El Sargento. 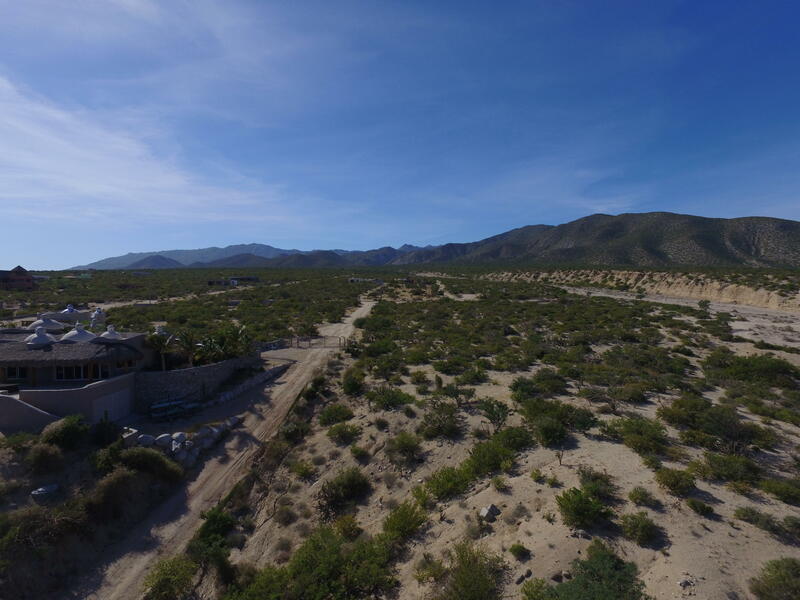 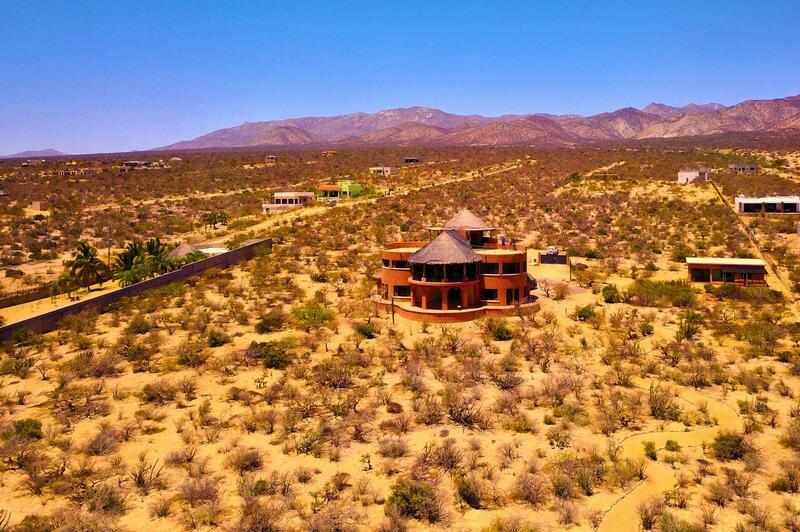 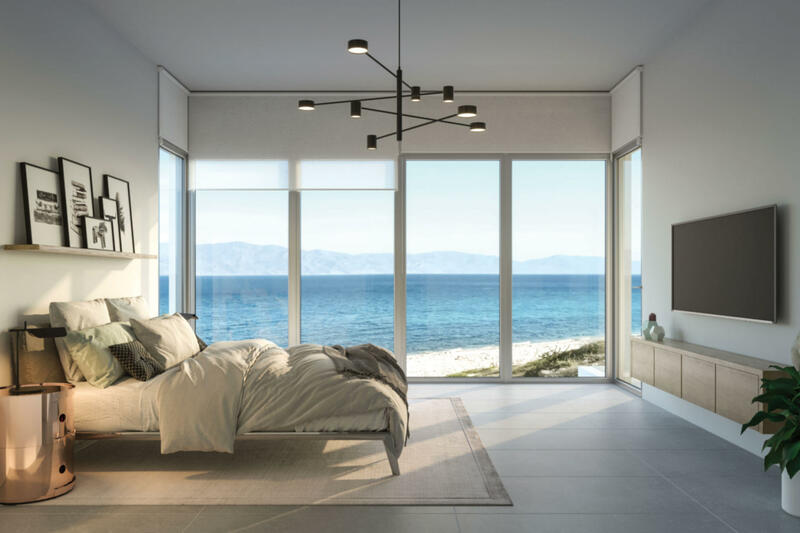 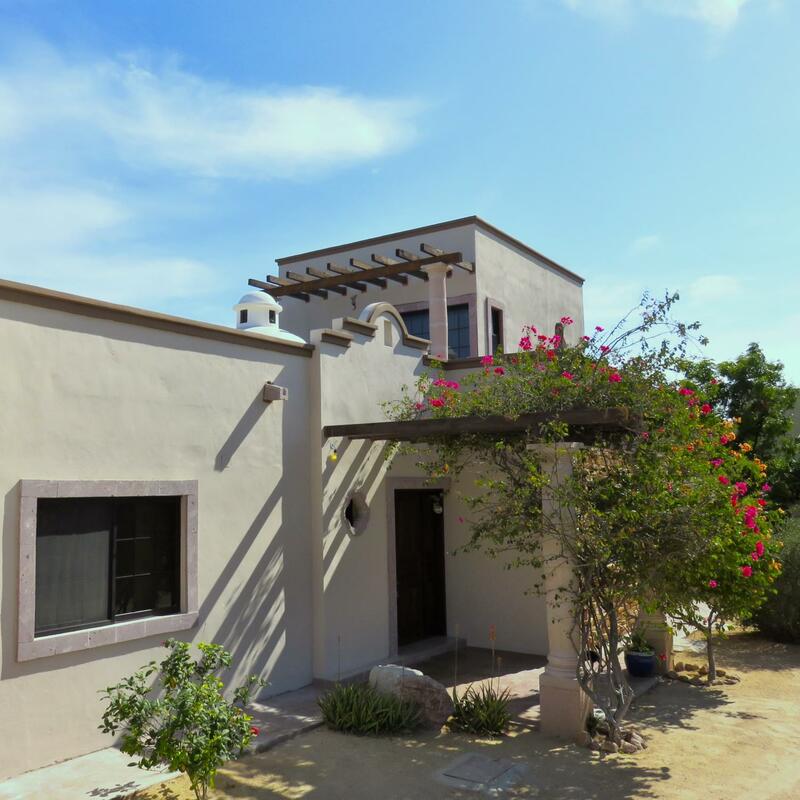 Close enough to supply snapshot views of the sandy shores of the Gulf of California, yet well situated into the desert landscape. 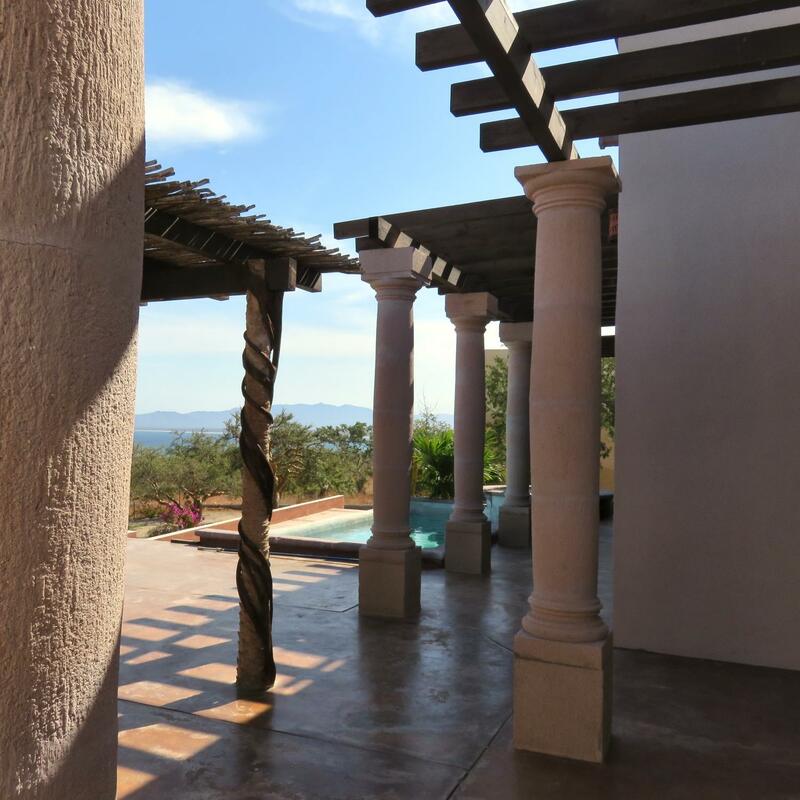 Tiered gardens shape the expansive deck and patio area that leads around to the BBQ and lounge area with fireplace. 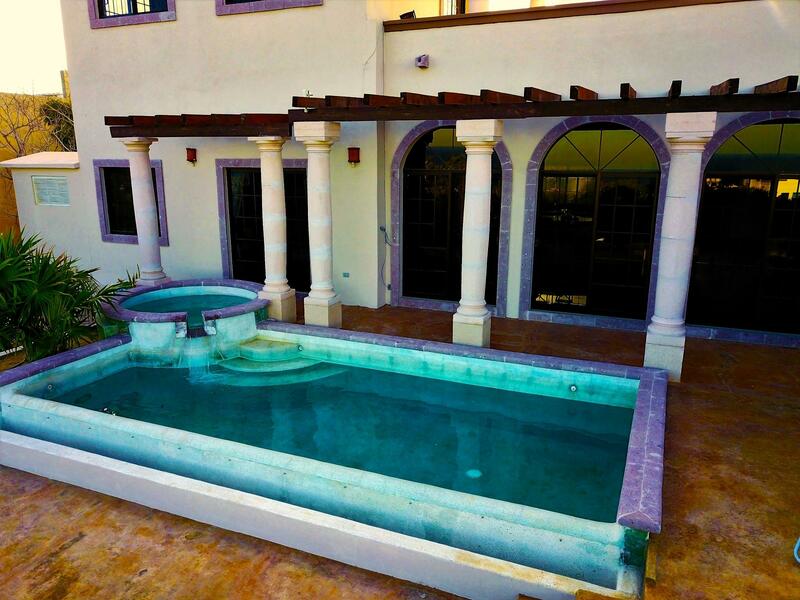 Adjacent in-ground pool and hot-tub. 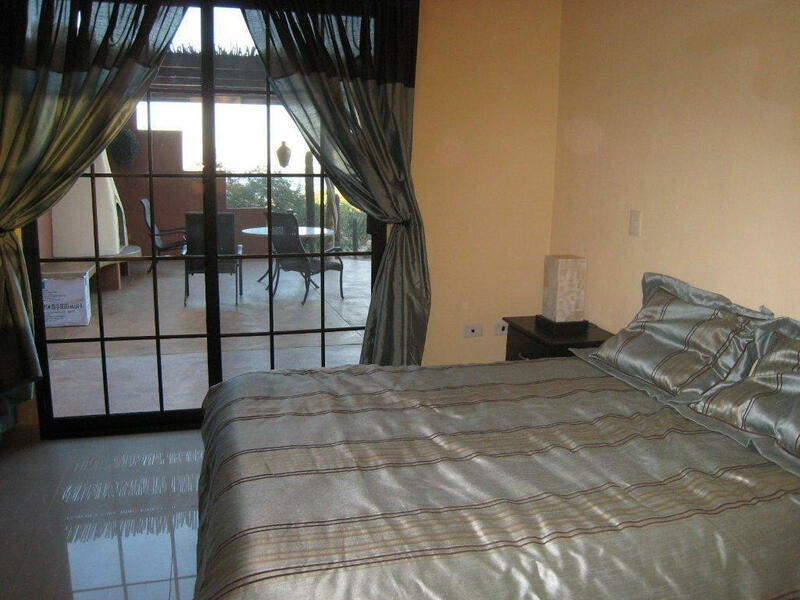 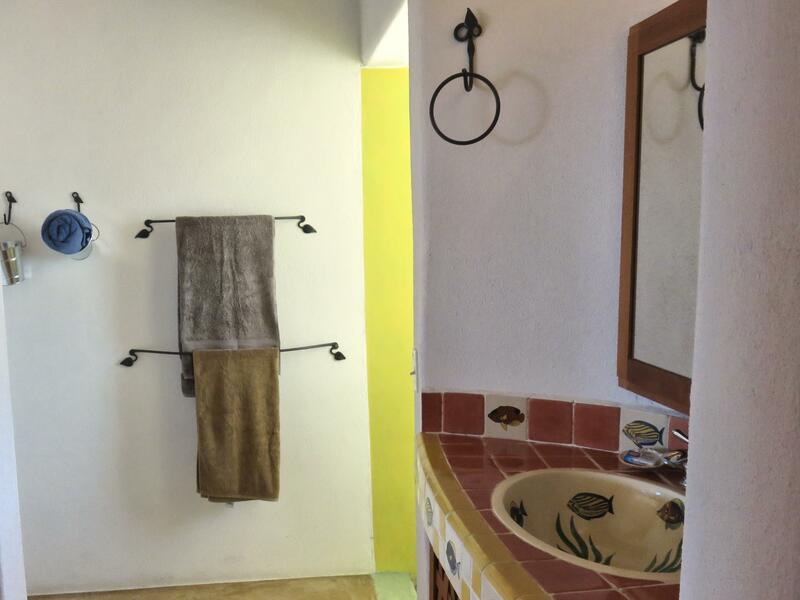 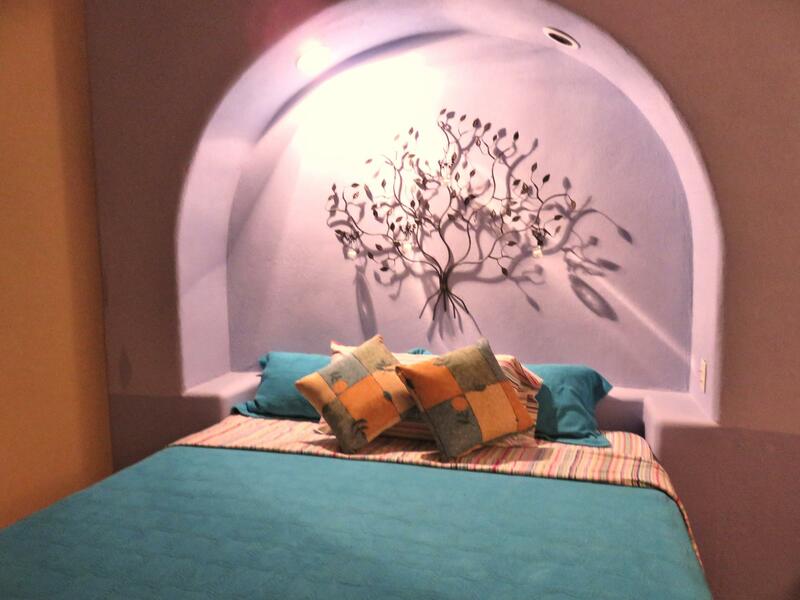 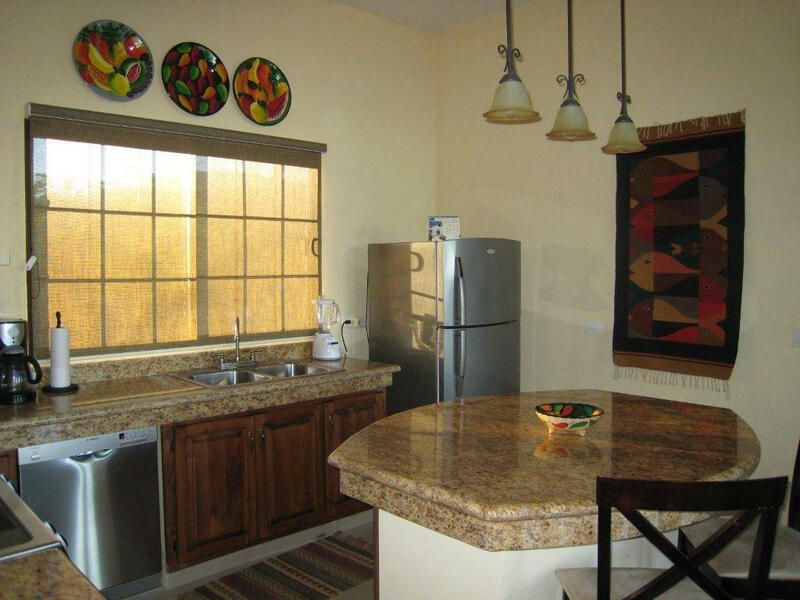 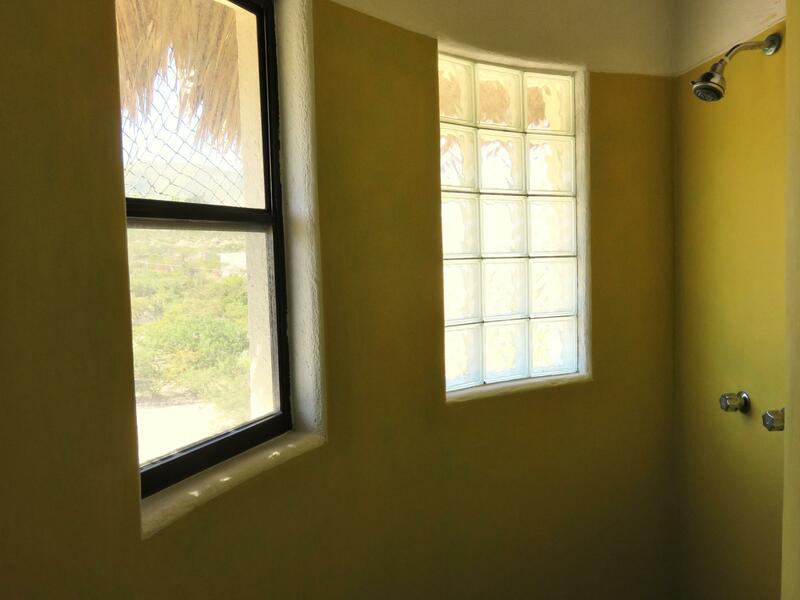 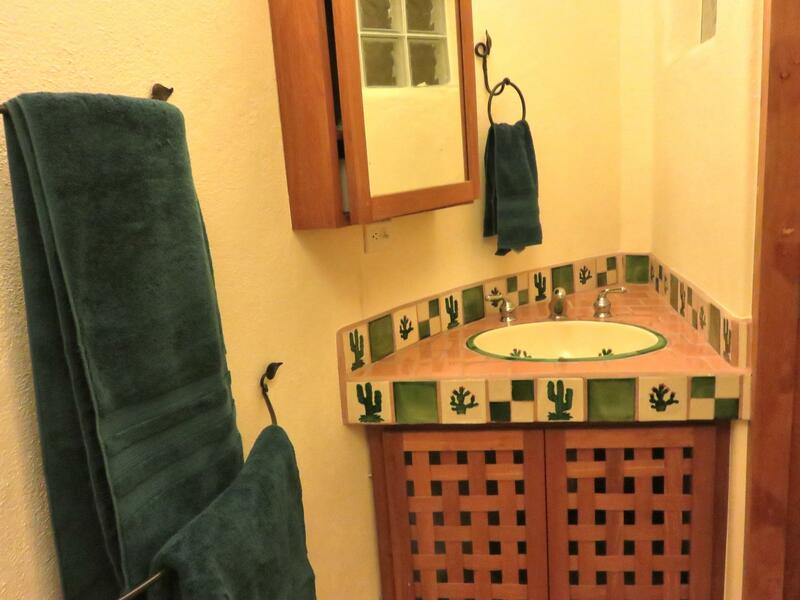 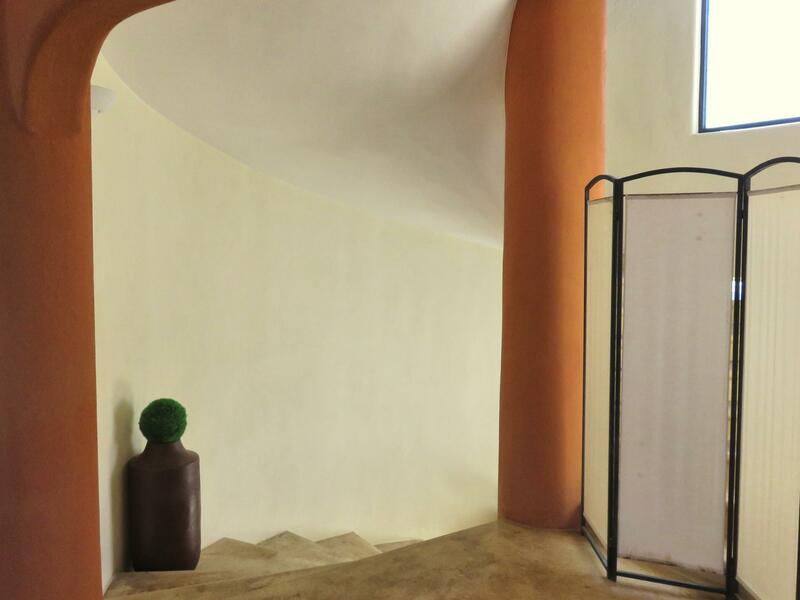 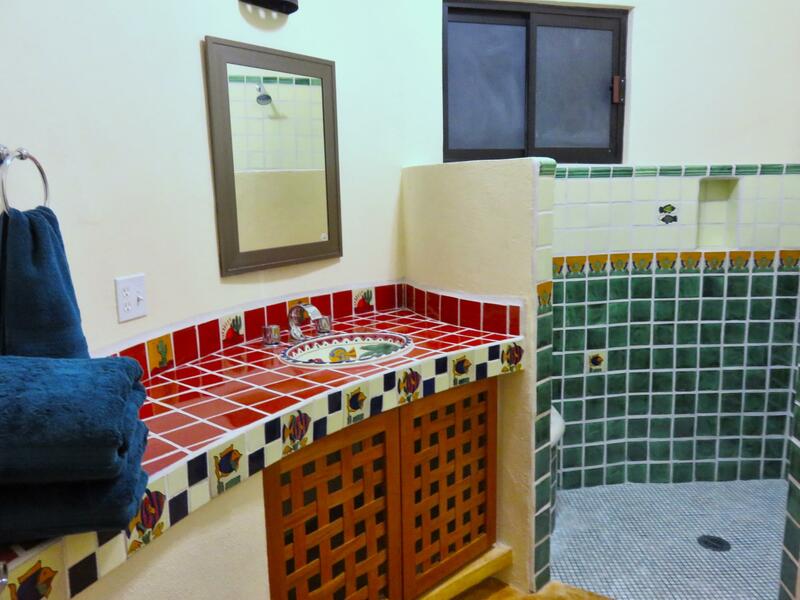 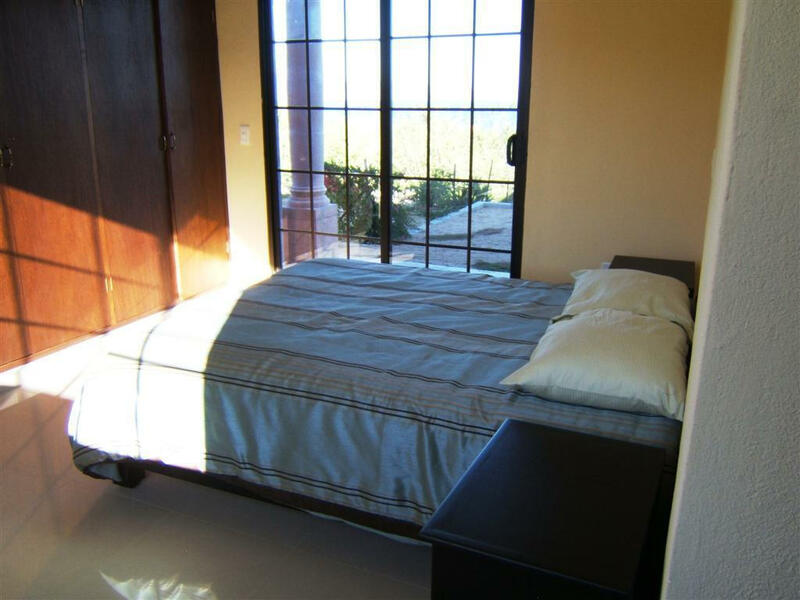 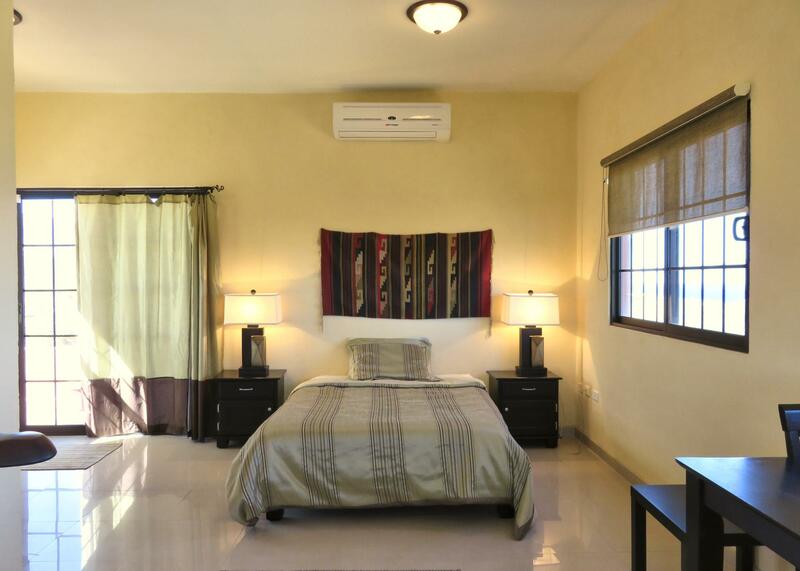 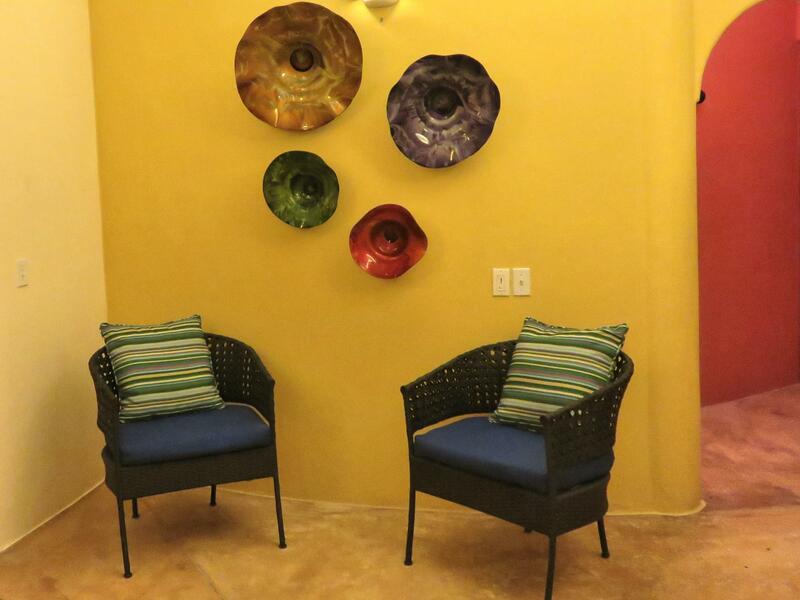 Visiting guests have access to a separate marbled, studio style casita located on the second level. 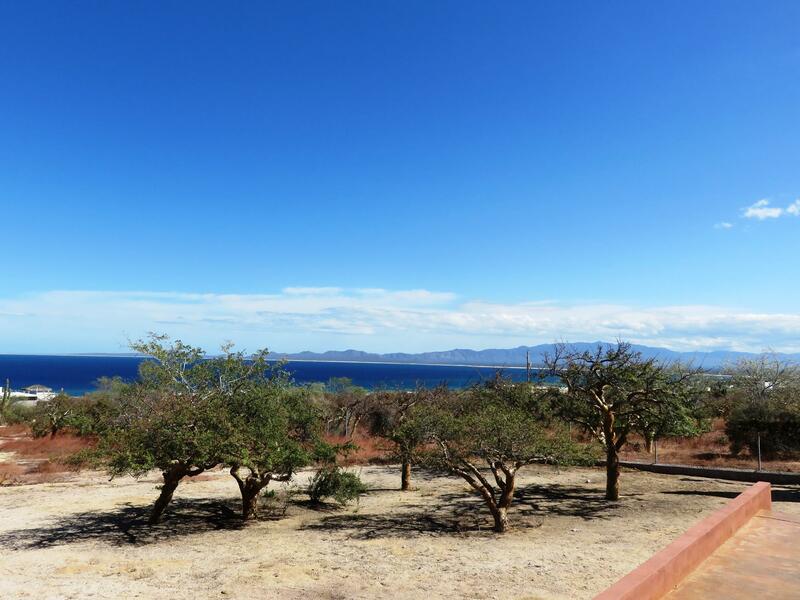 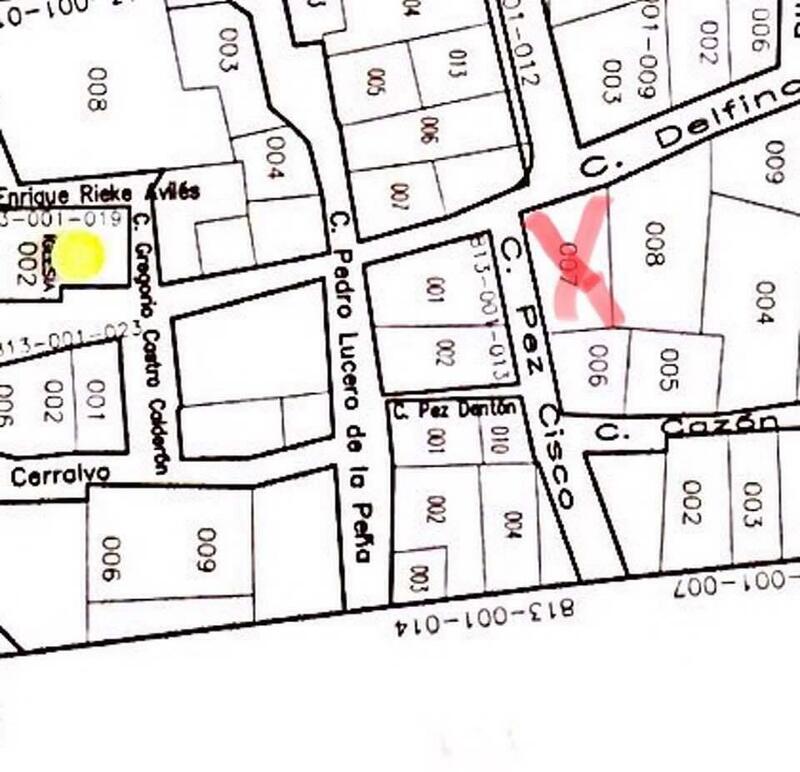 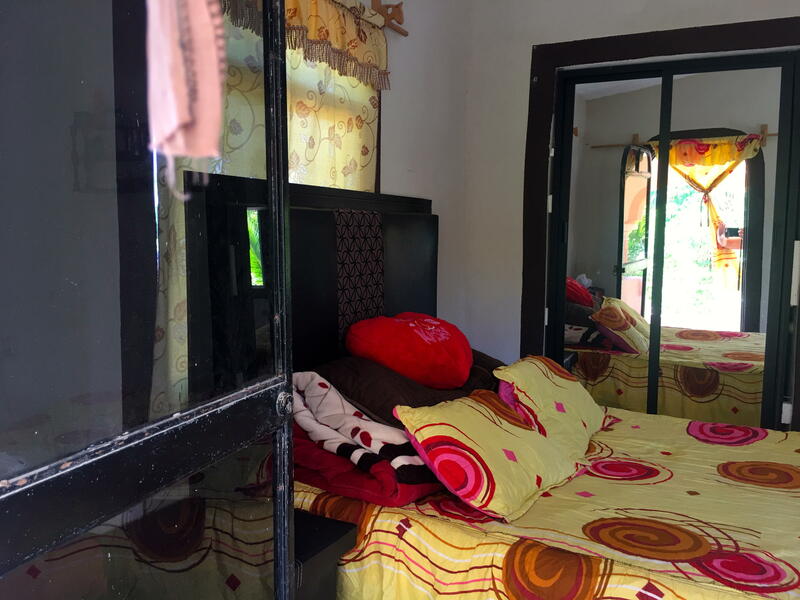 This stunner sits on a gigantic L-shaped lot, boosting the overall appeal, the 1500m2 lot directly in front of this property is also owned by the seller and included. 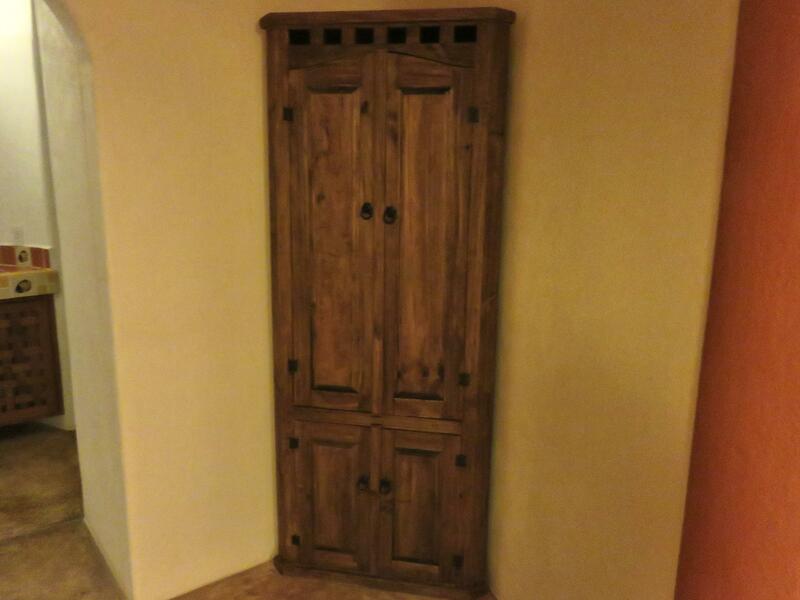 Garage with automatic opener. 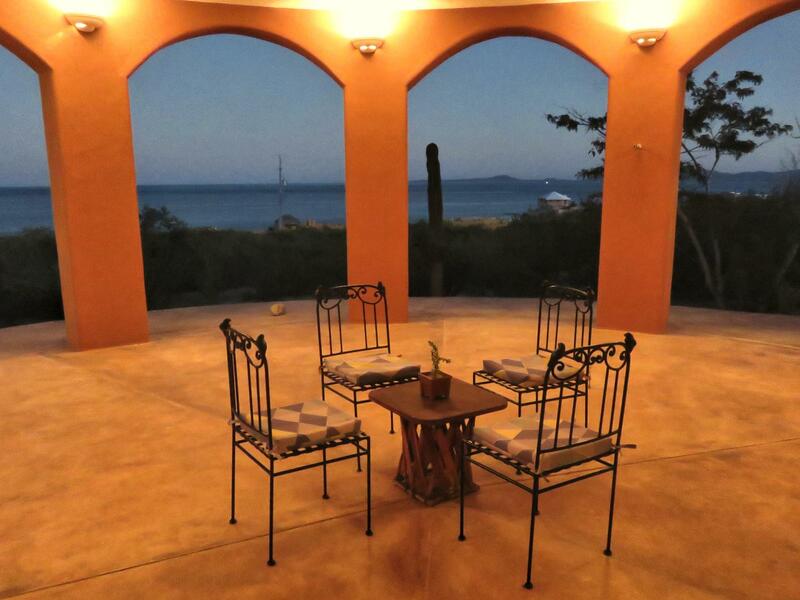 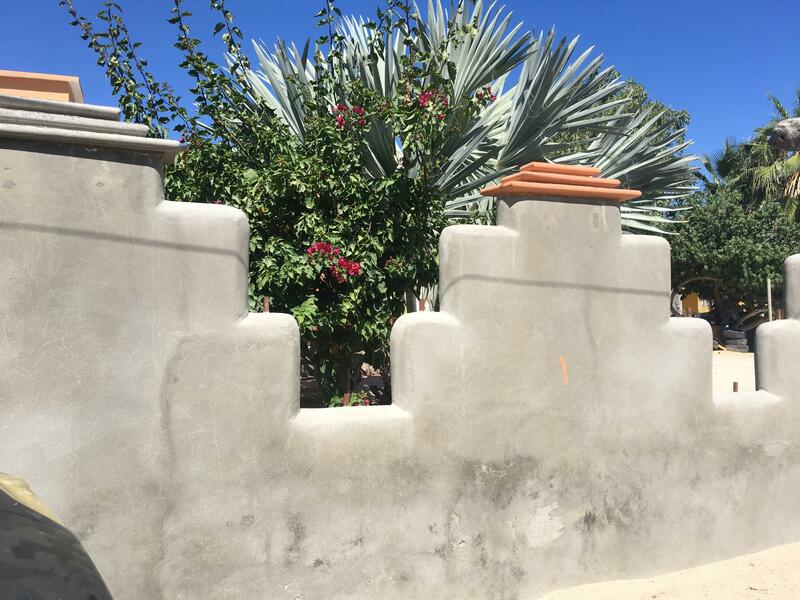 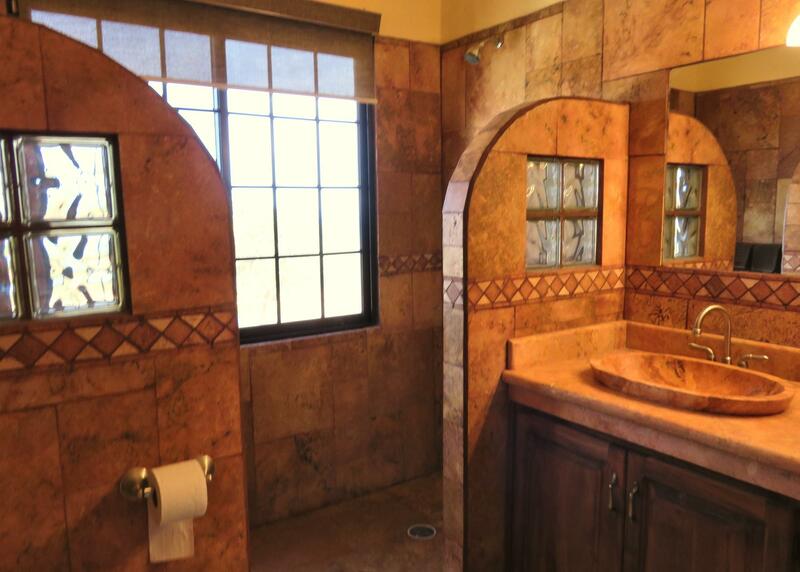 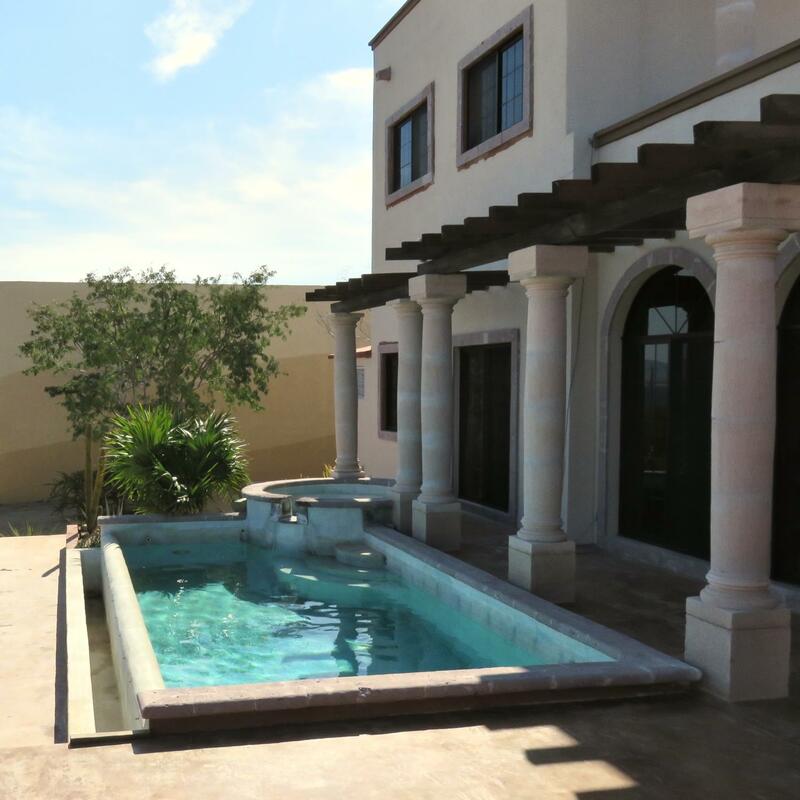 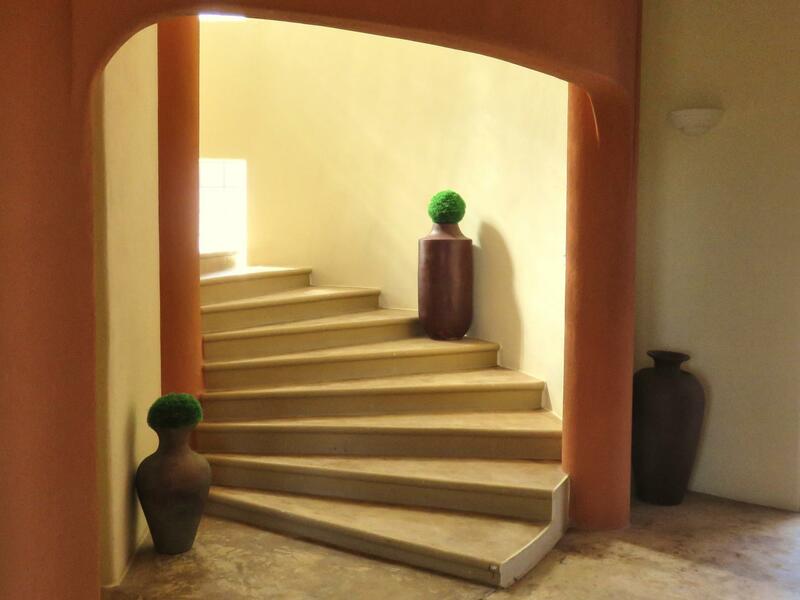 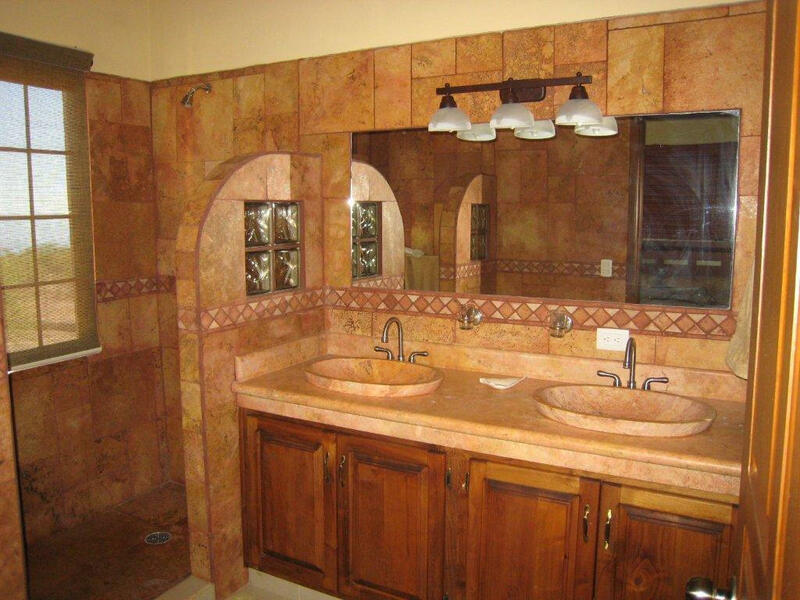 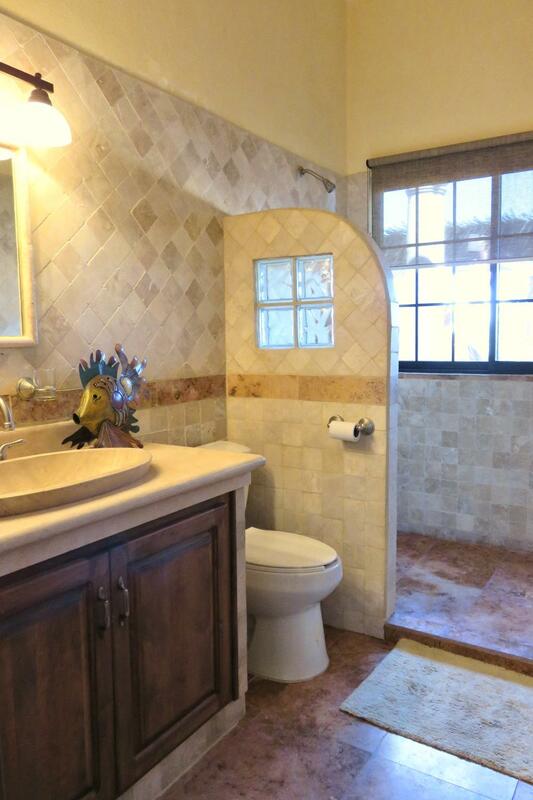 Combining granite with traditional Mexican neutrals, this property is sure to please.